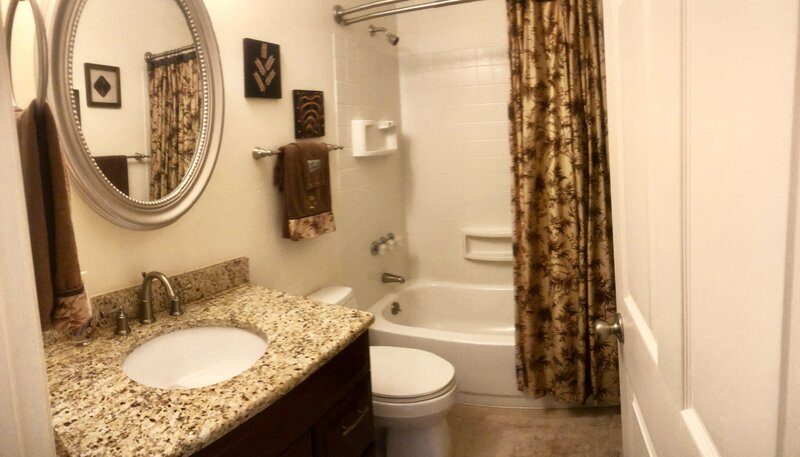 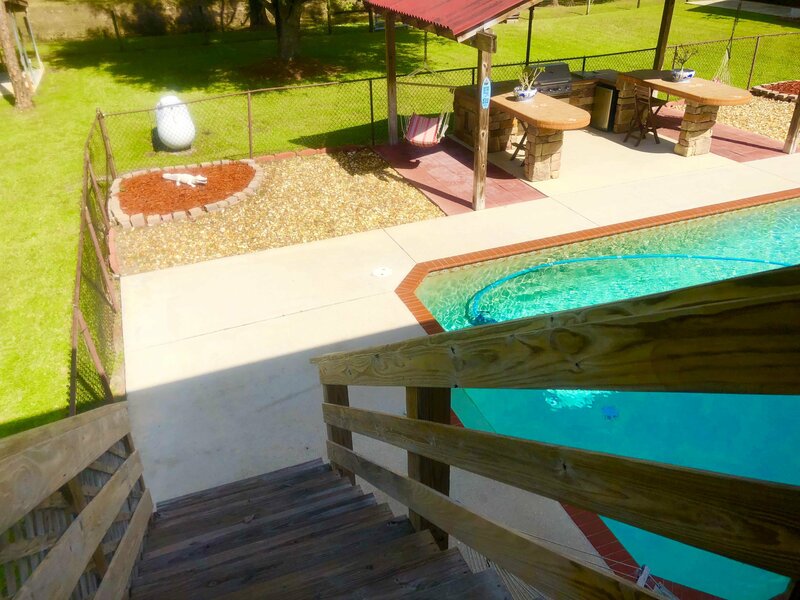 THIS IS TRULY A PROPERTY THAT WILL BE APPRECIATED WHEN SEEN !!! 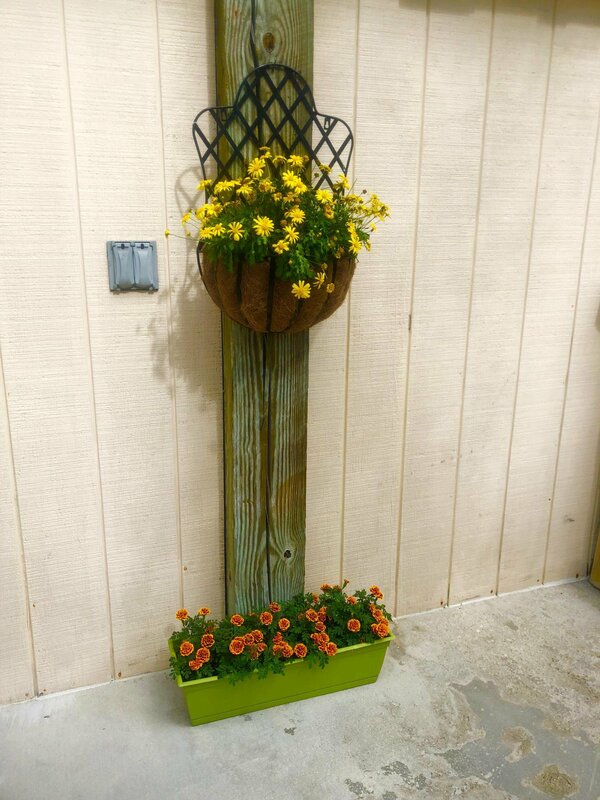 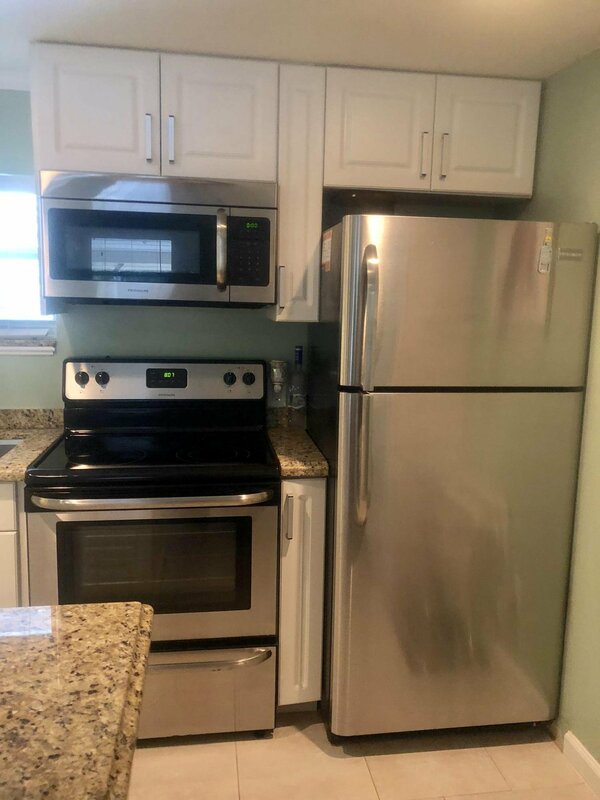 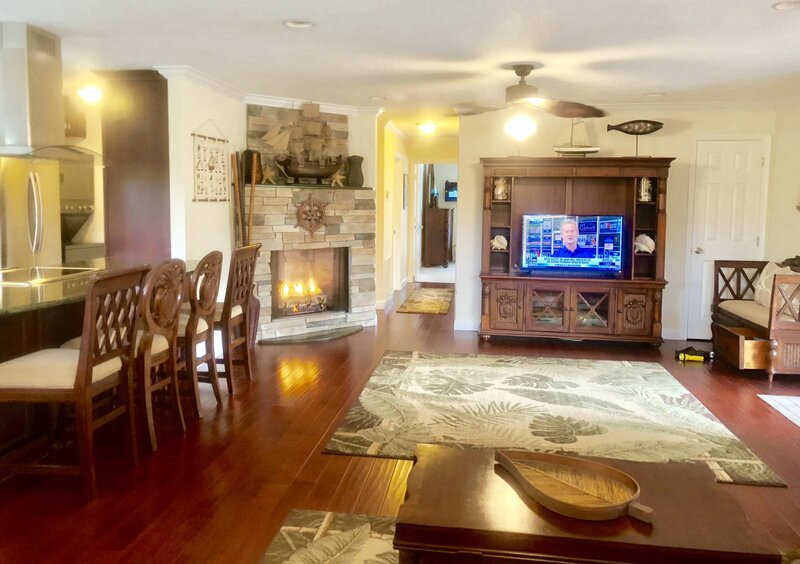 THIS ADORABLE HOME HAS IT ALL !! 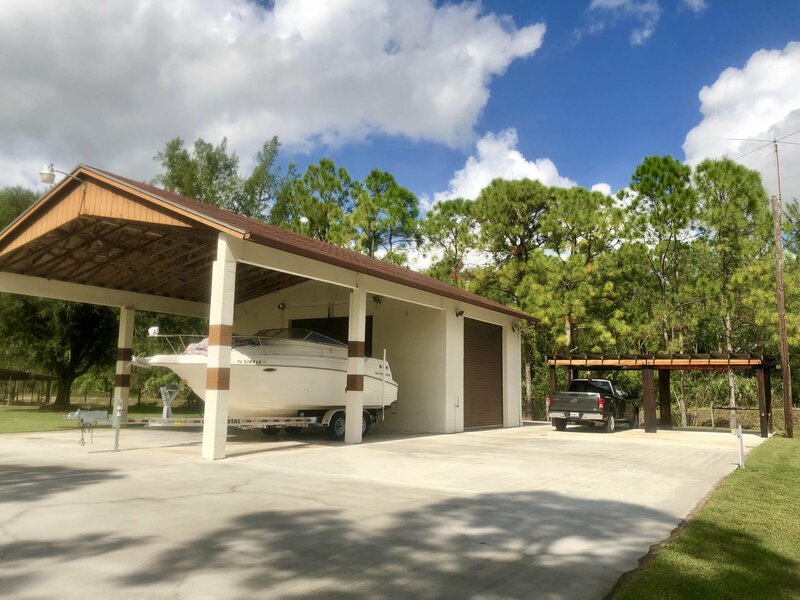 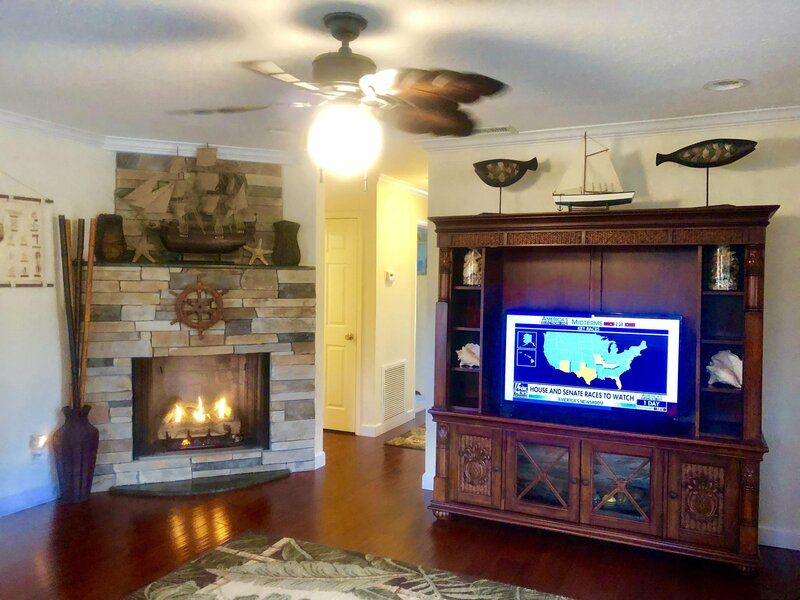 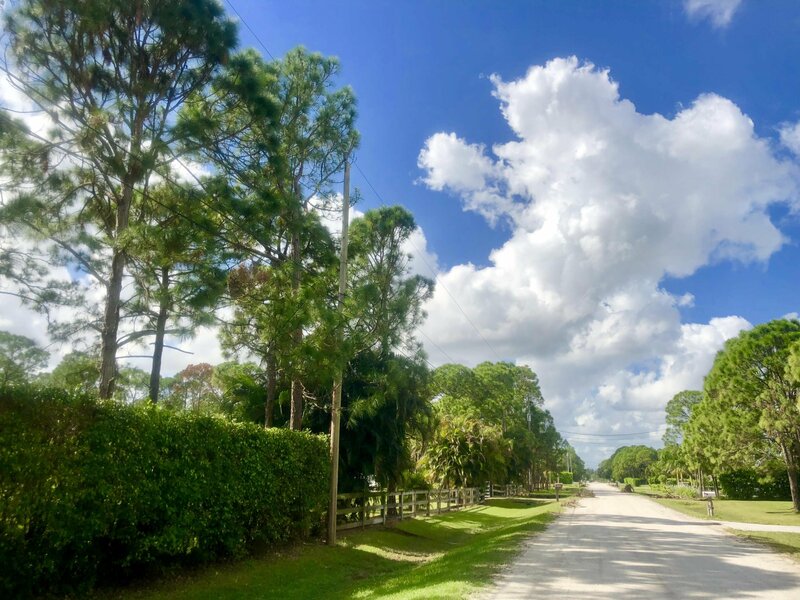 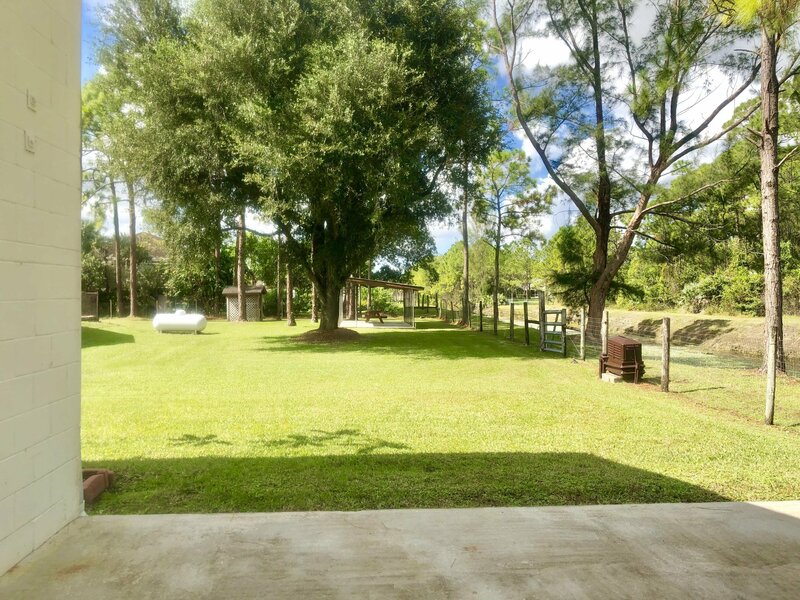 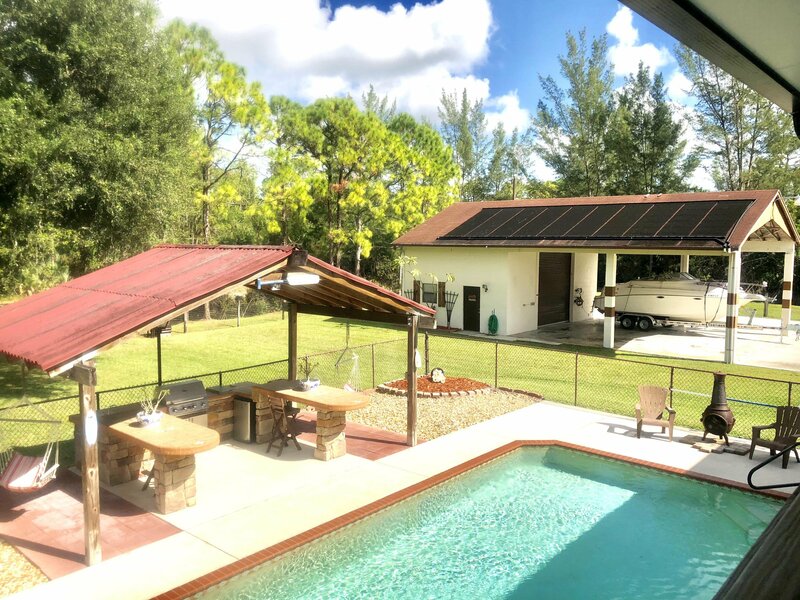 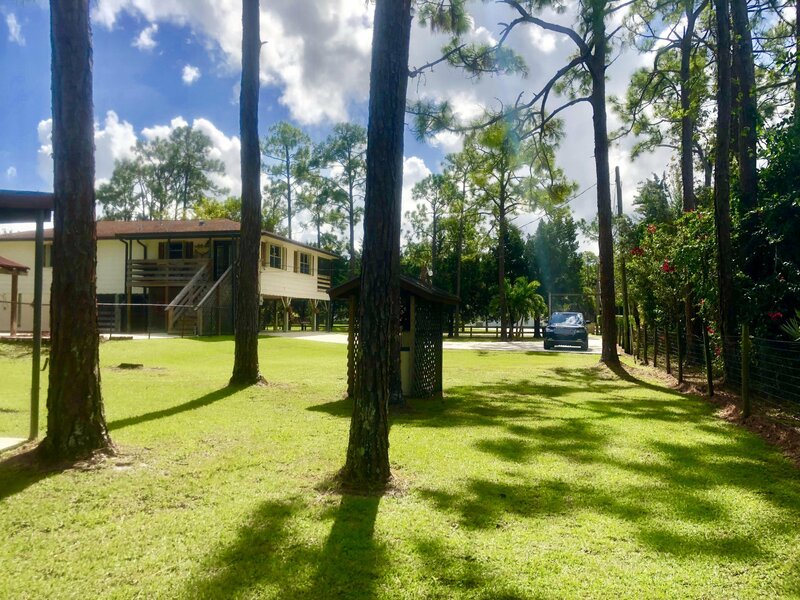 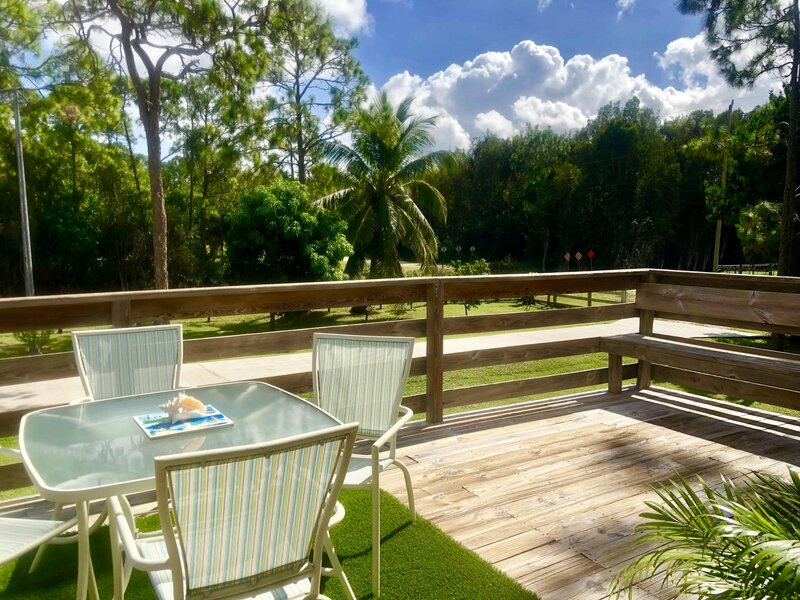 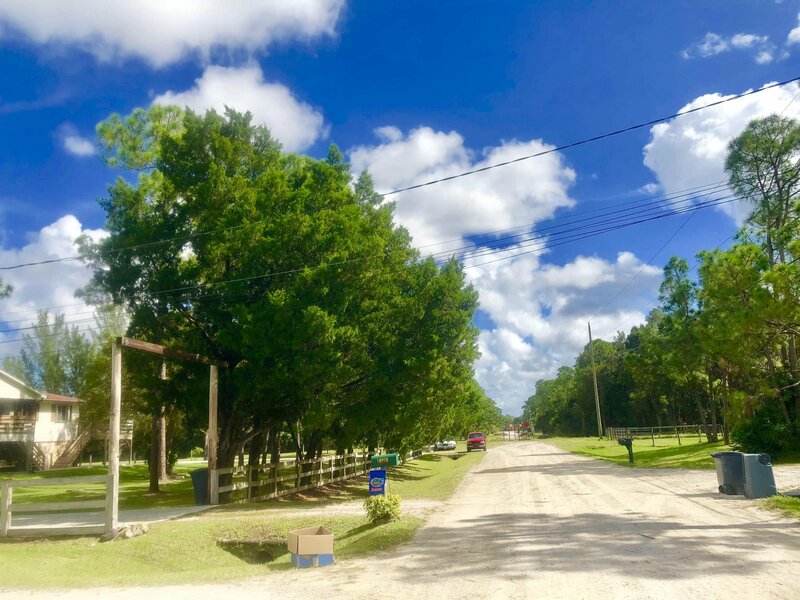 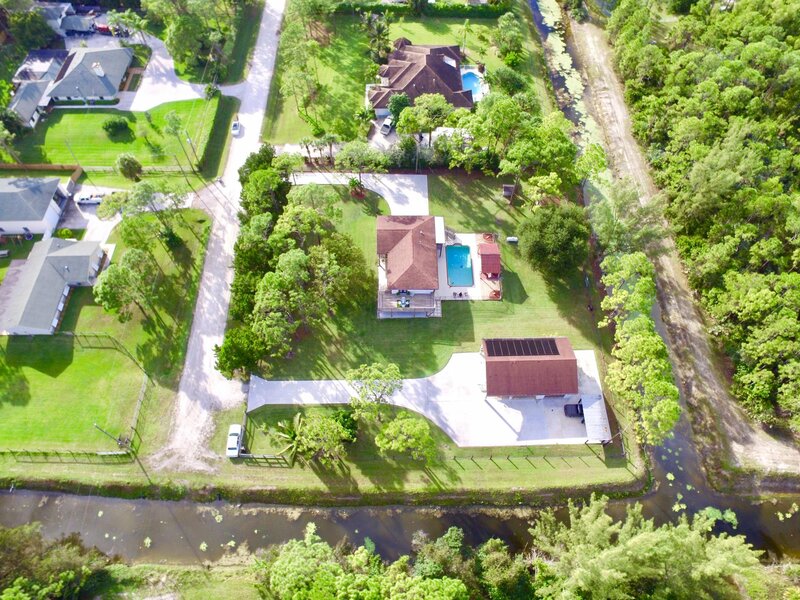 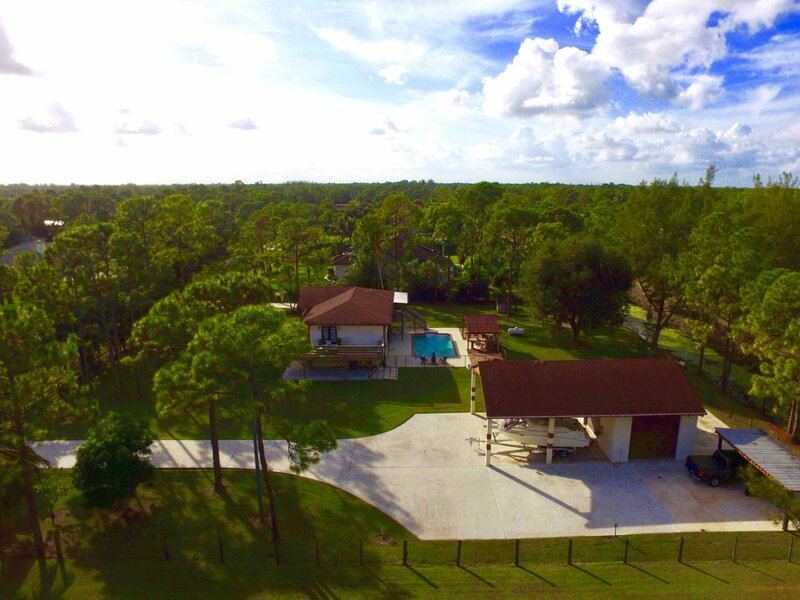 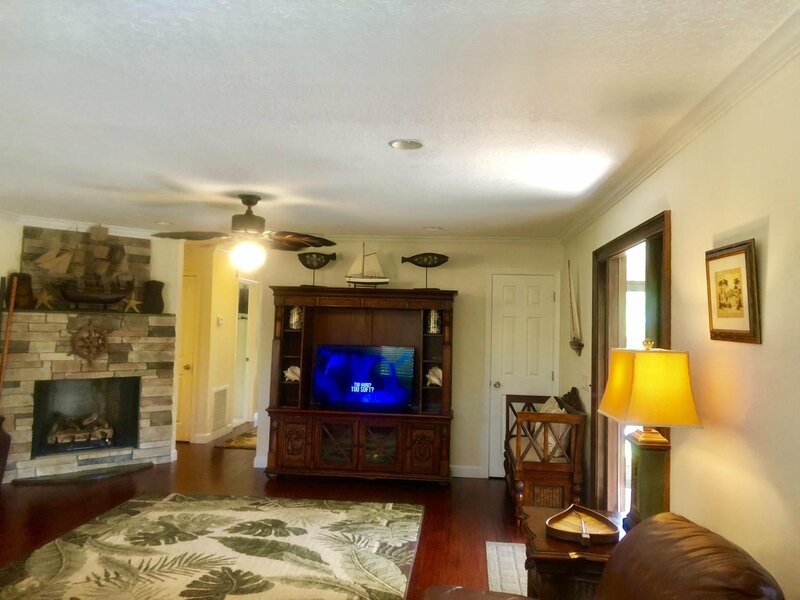 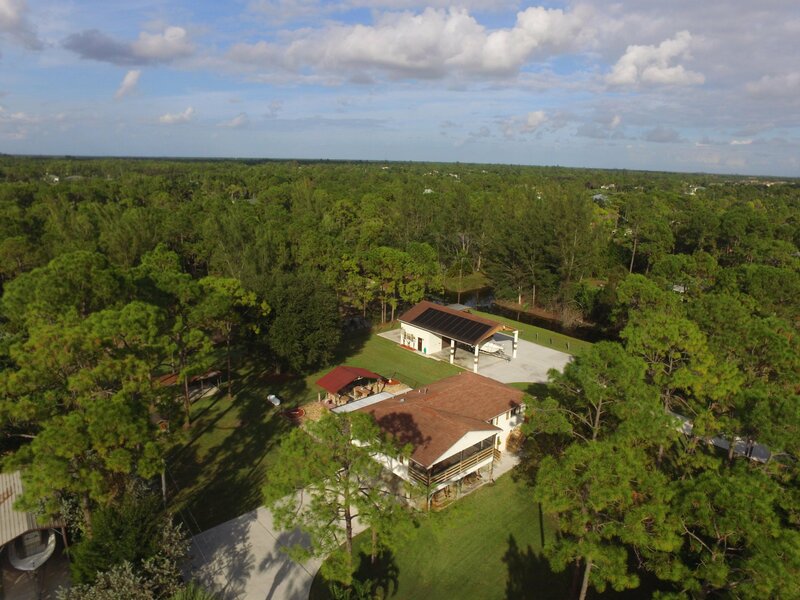 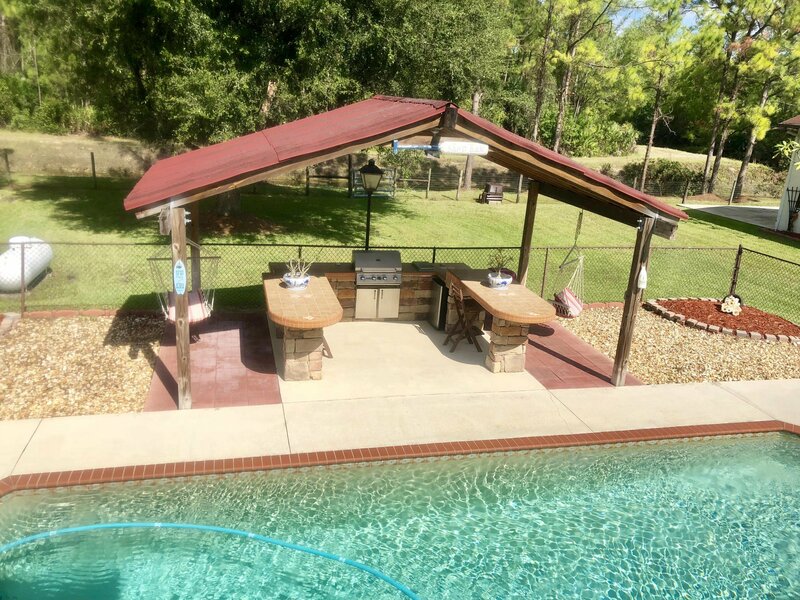 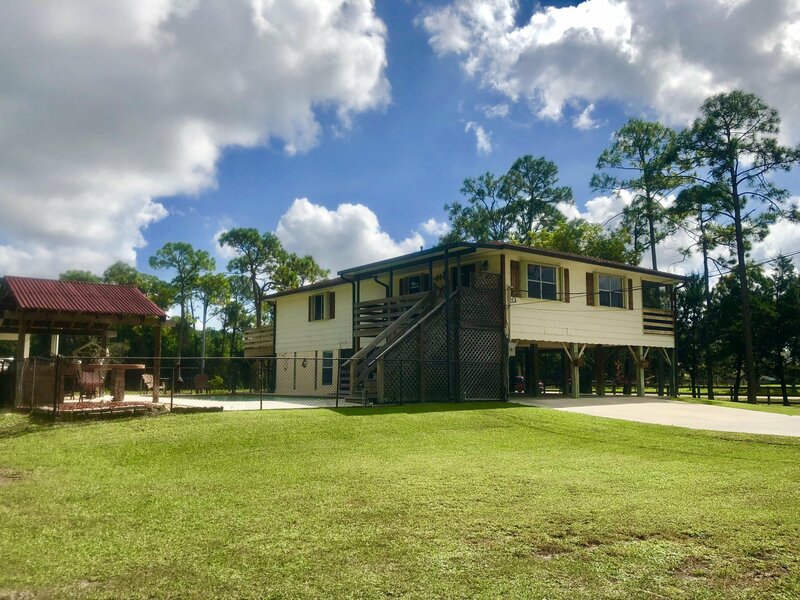 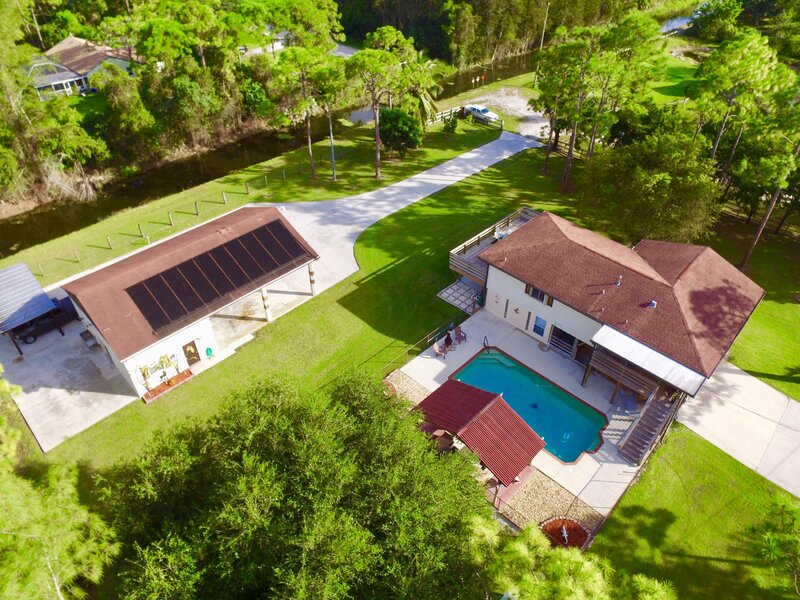 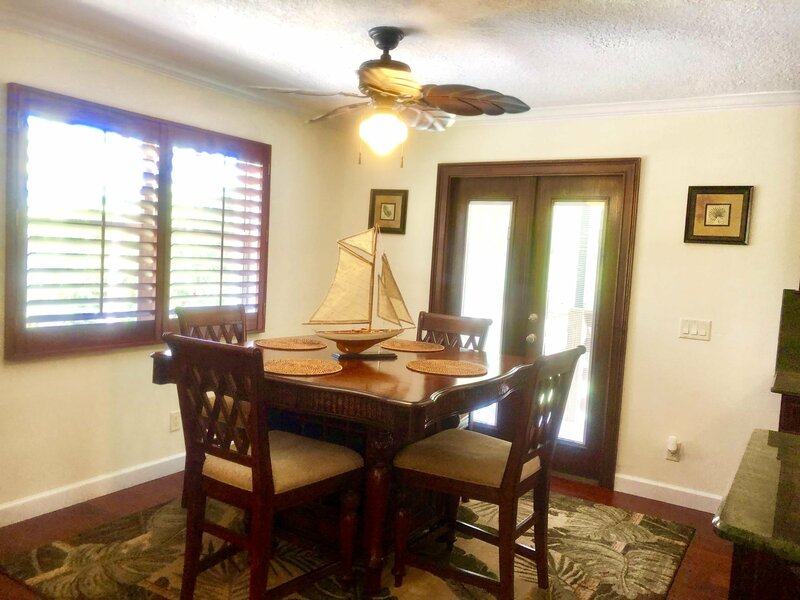 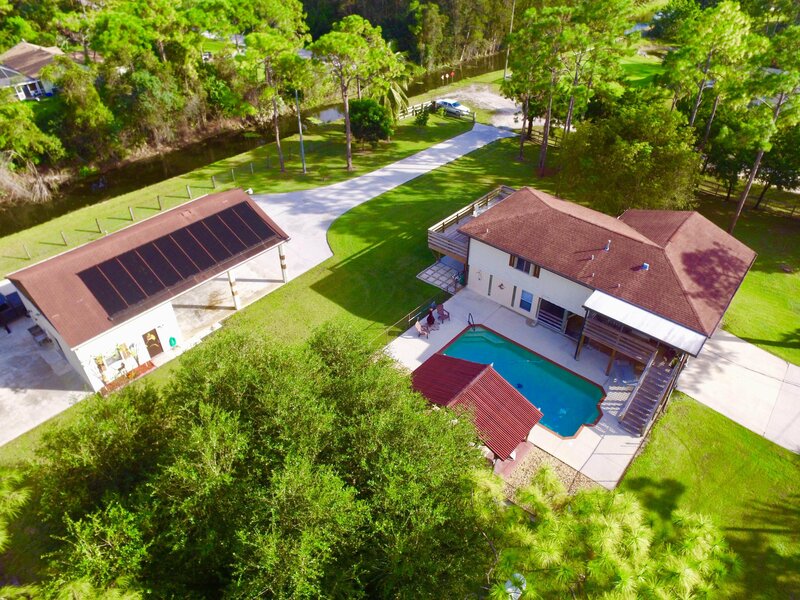 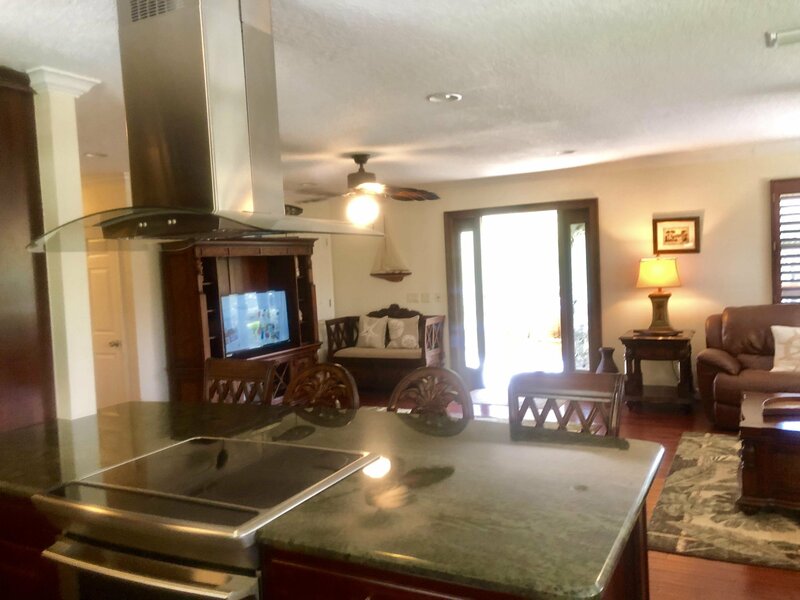 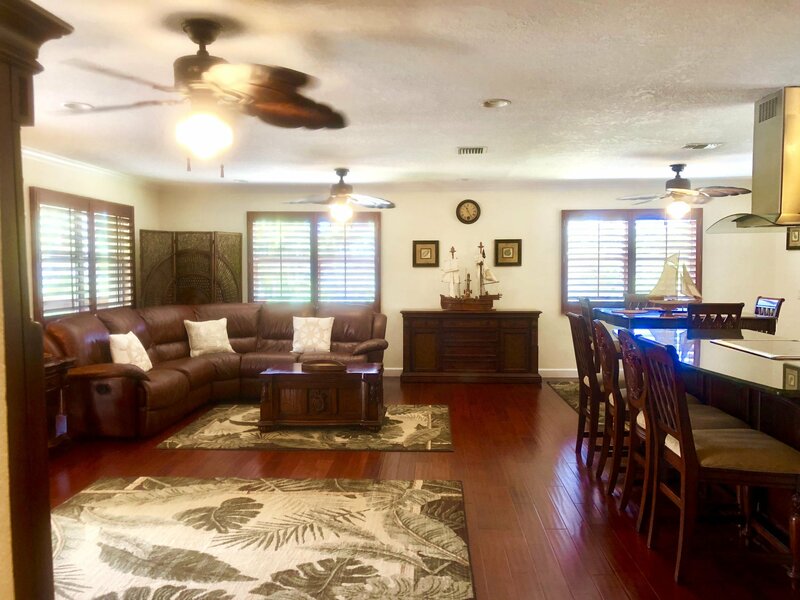 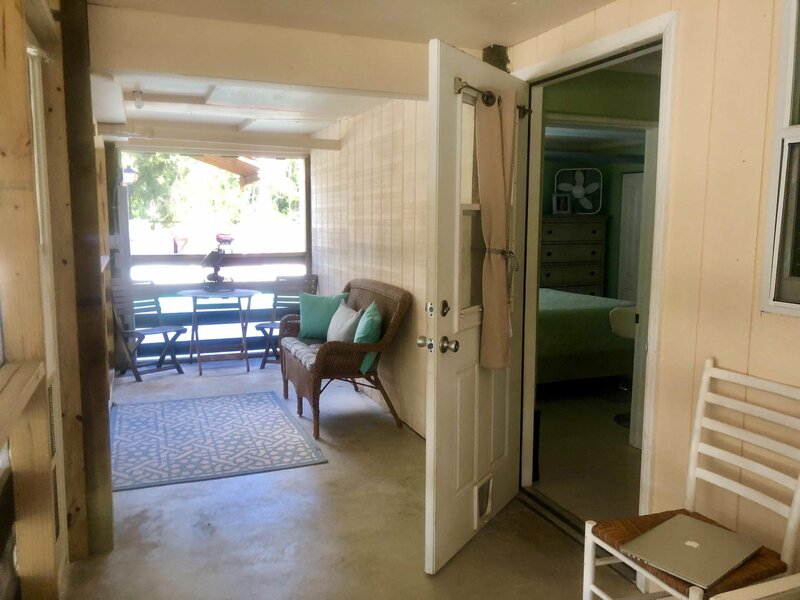 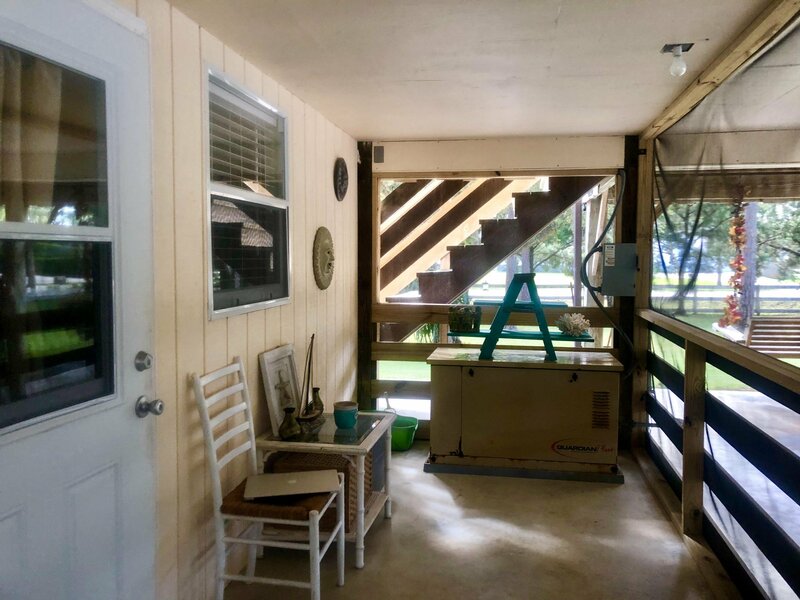 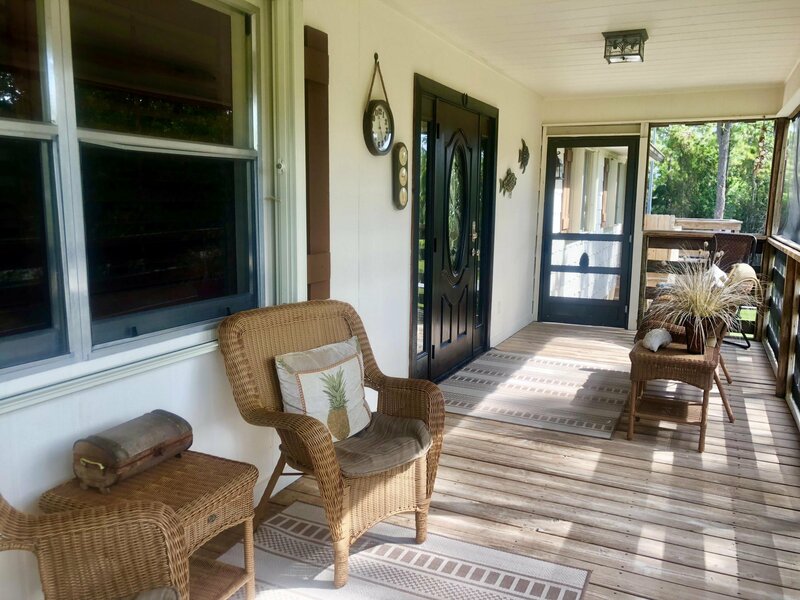 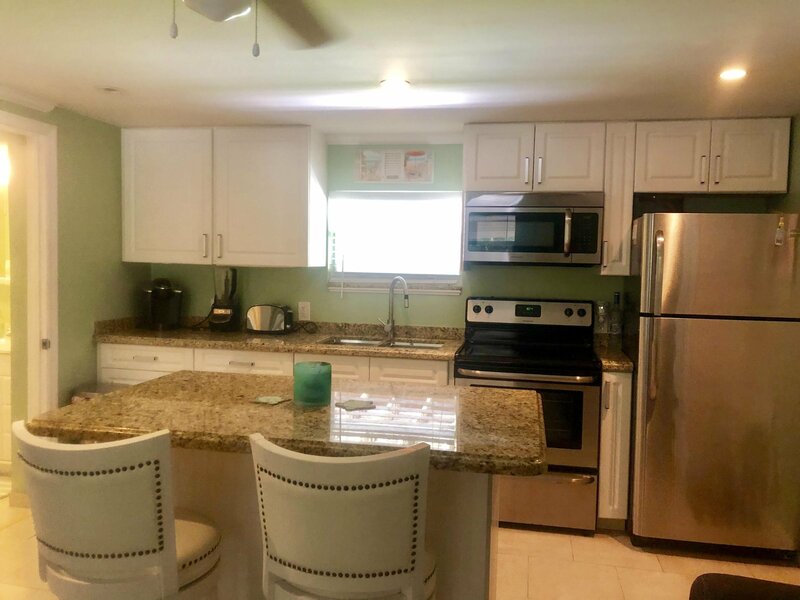 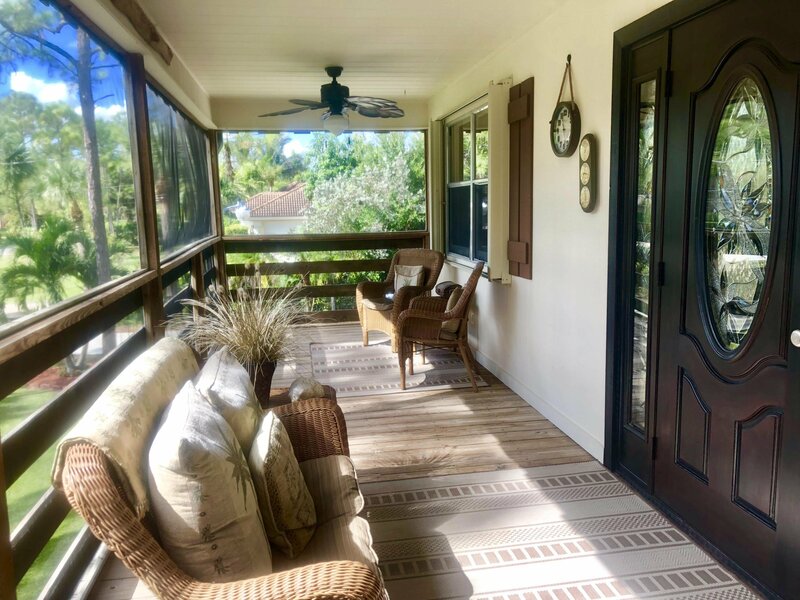 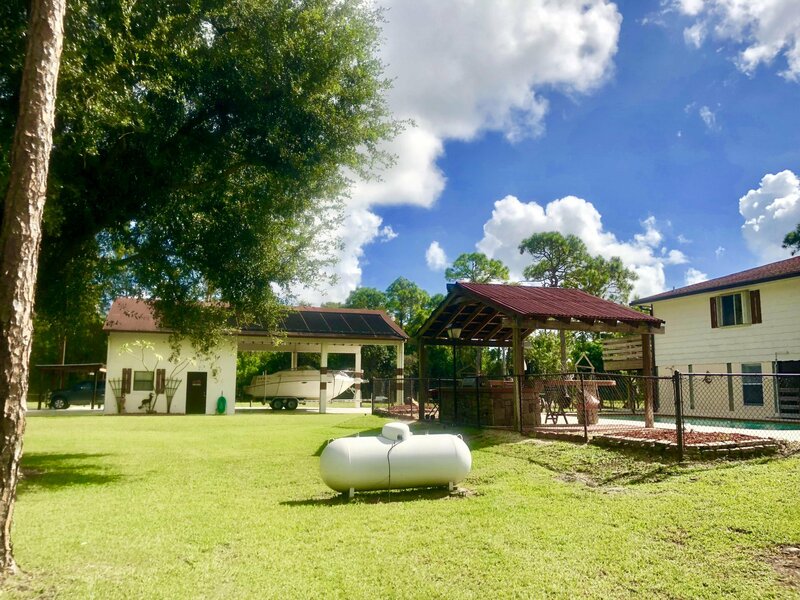 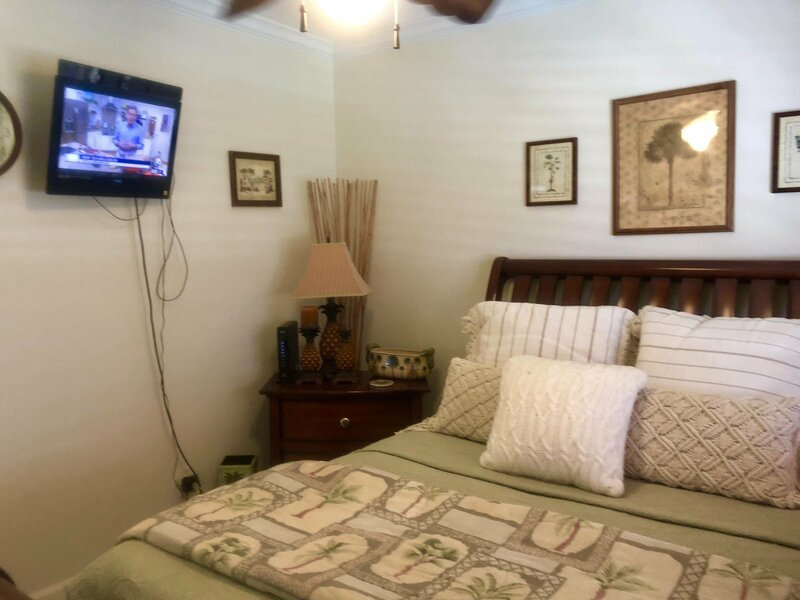 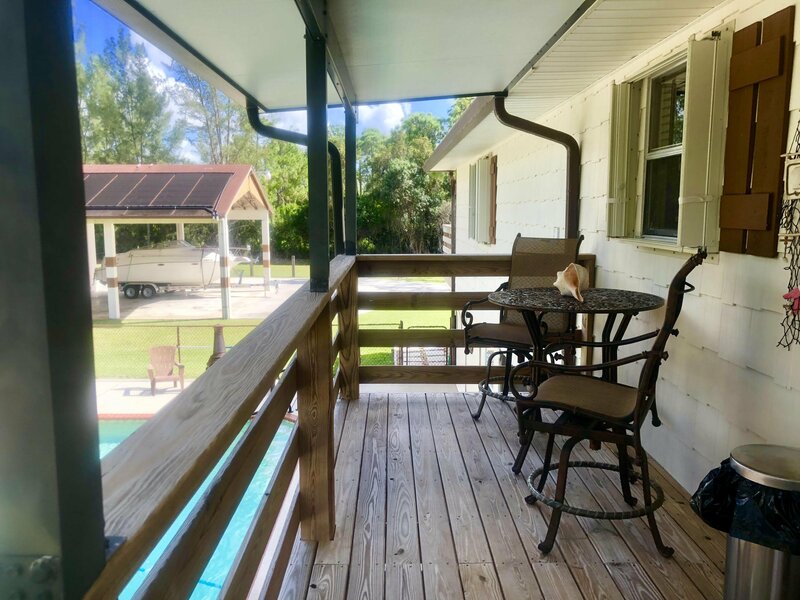 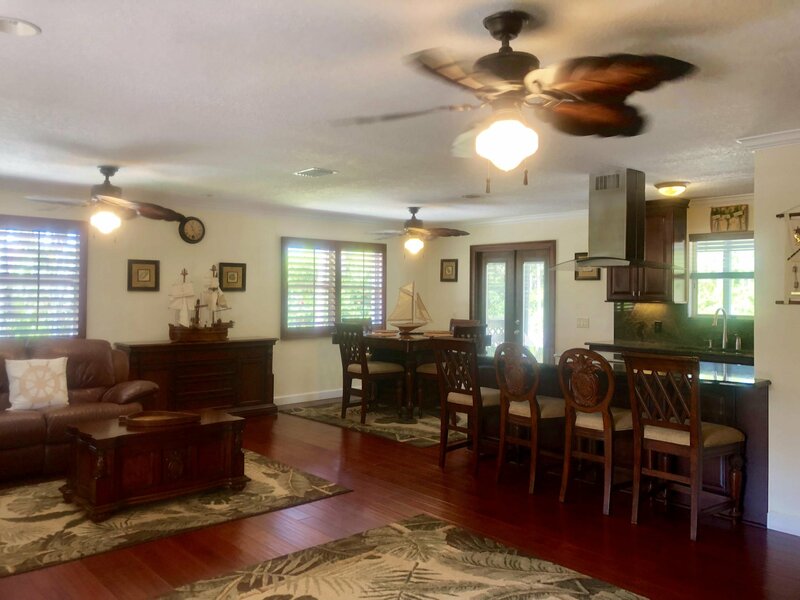 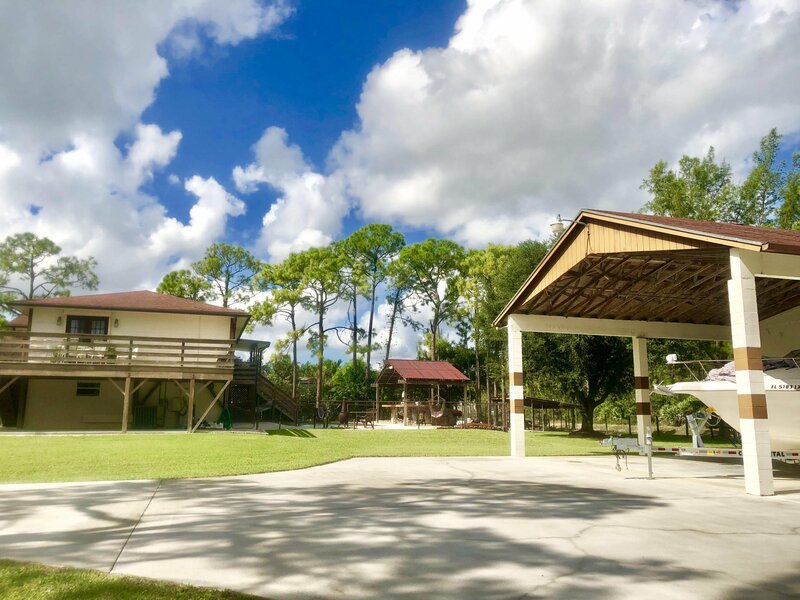 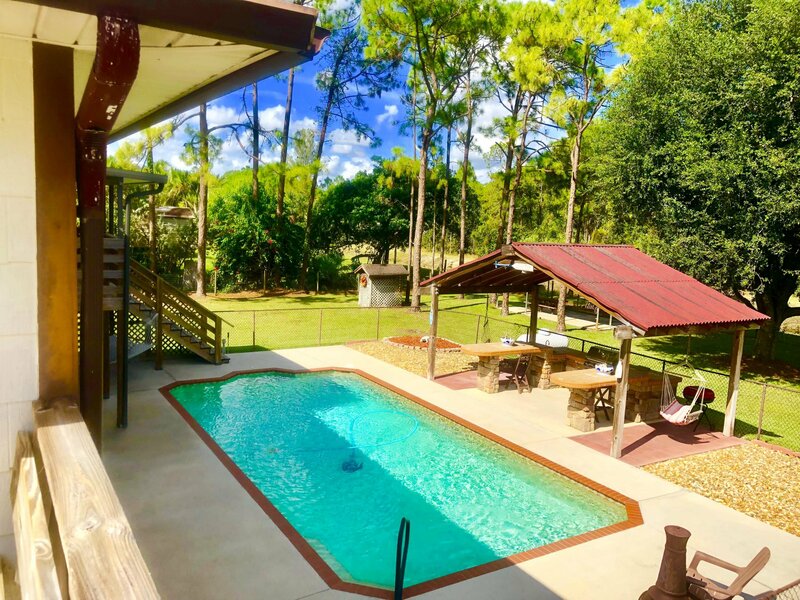 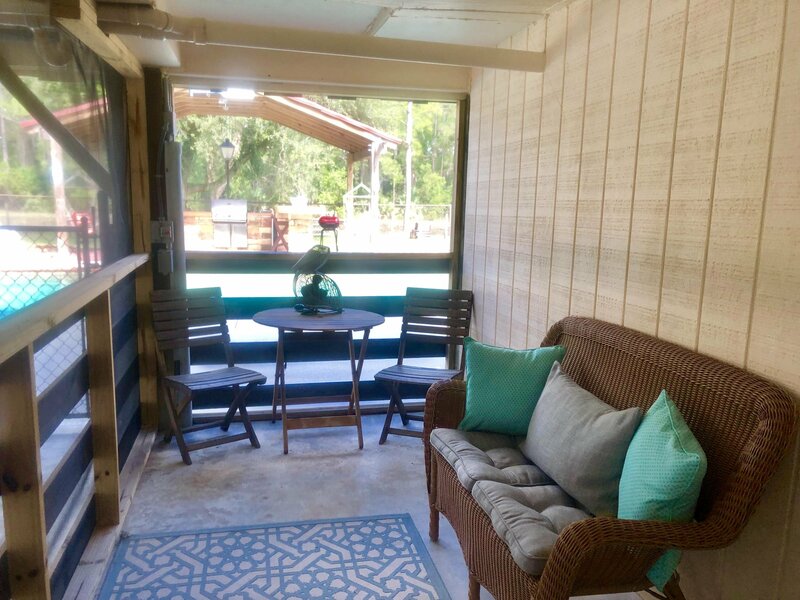 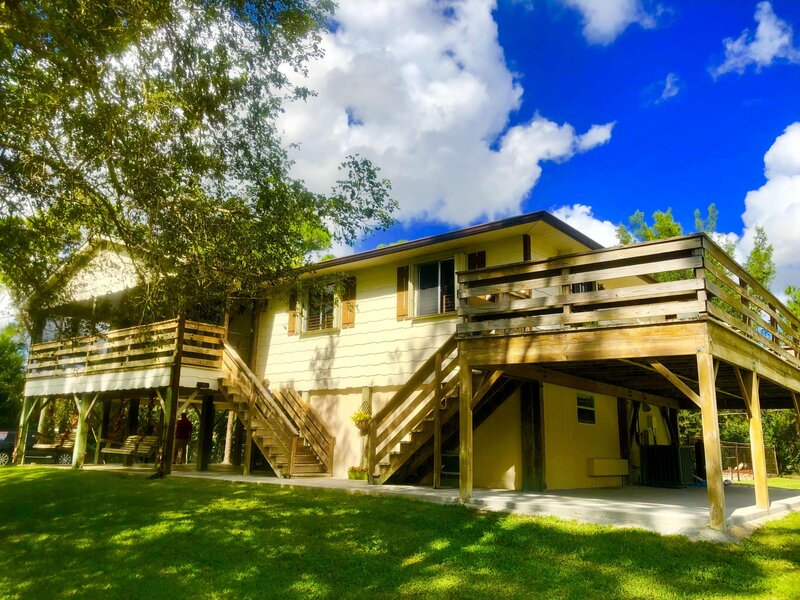 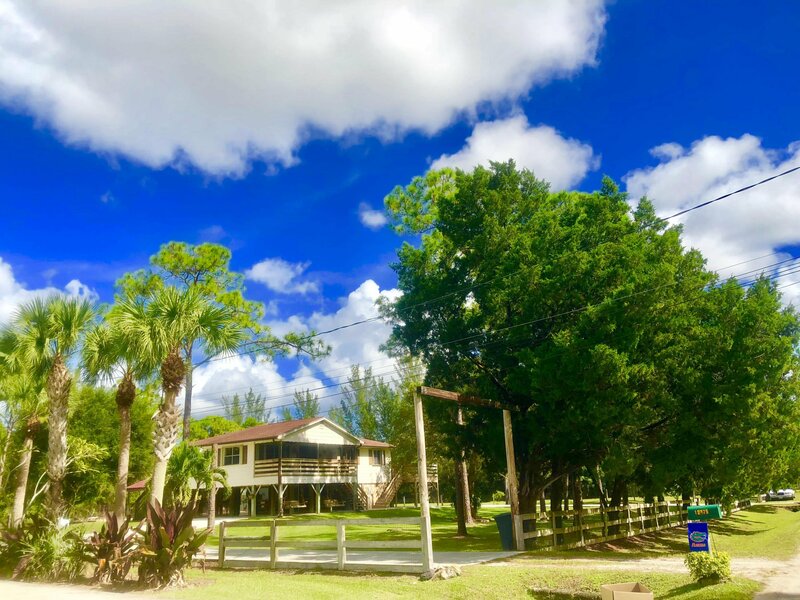 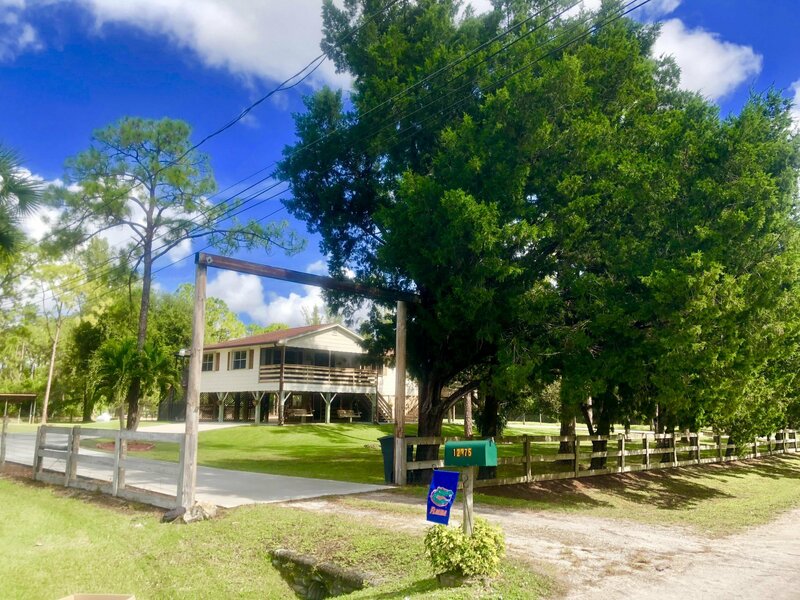 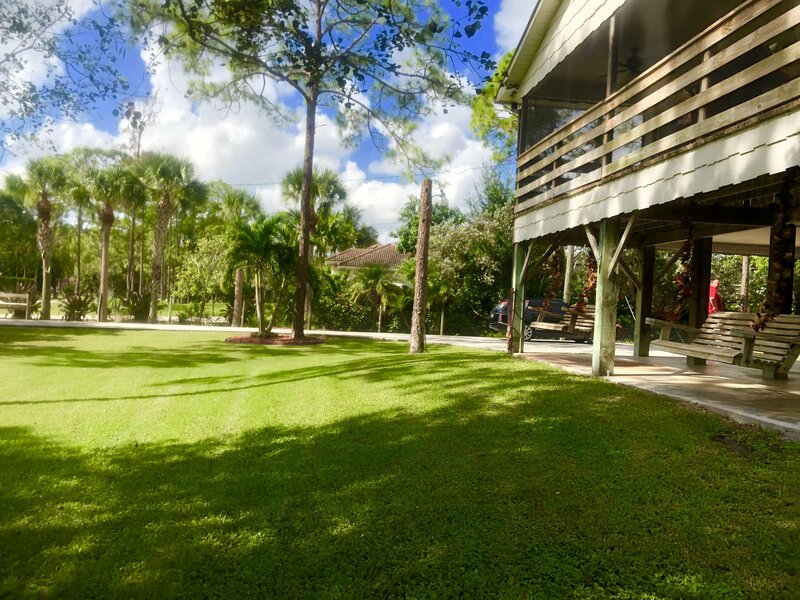 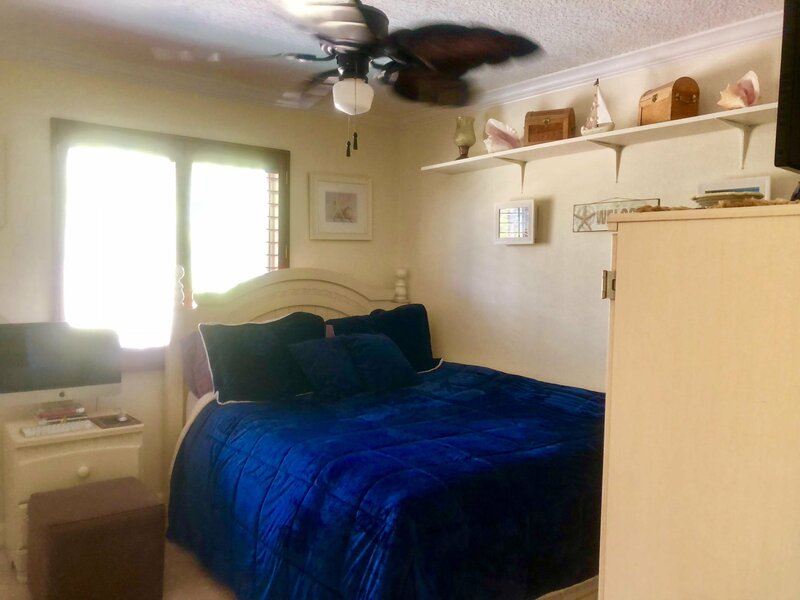 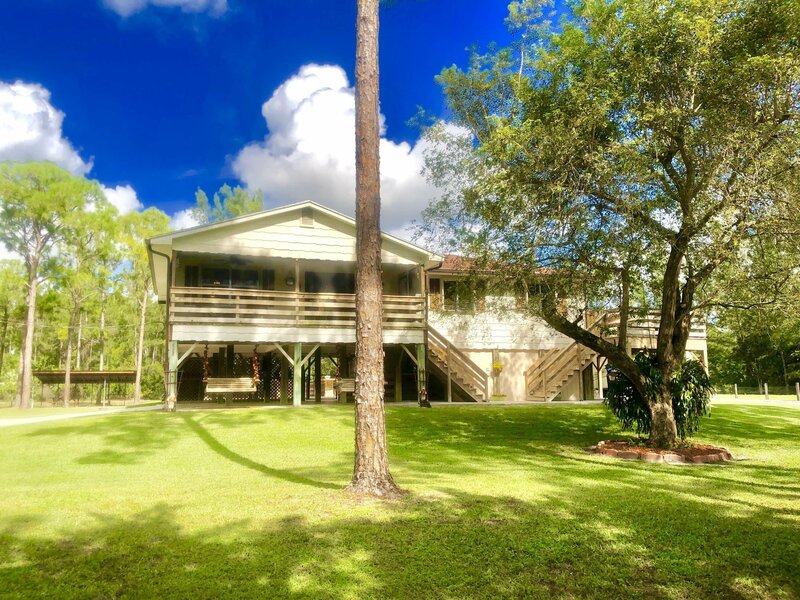 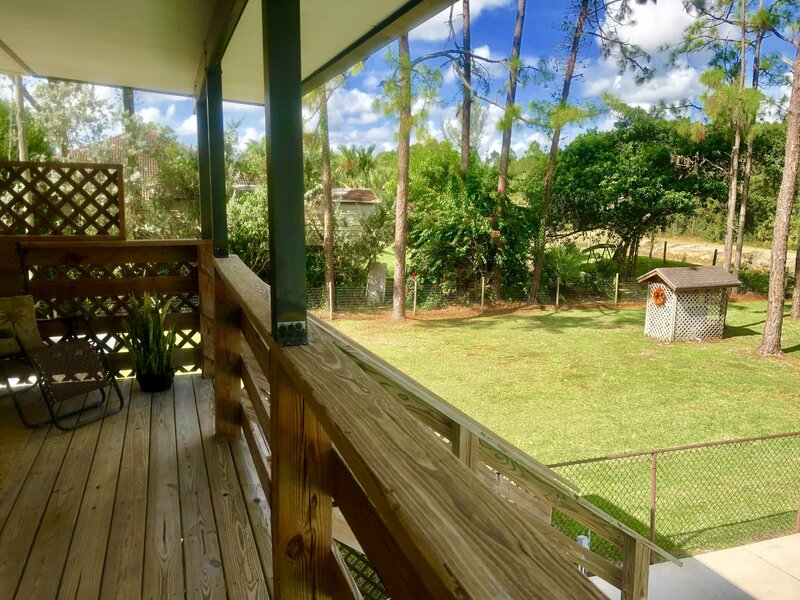 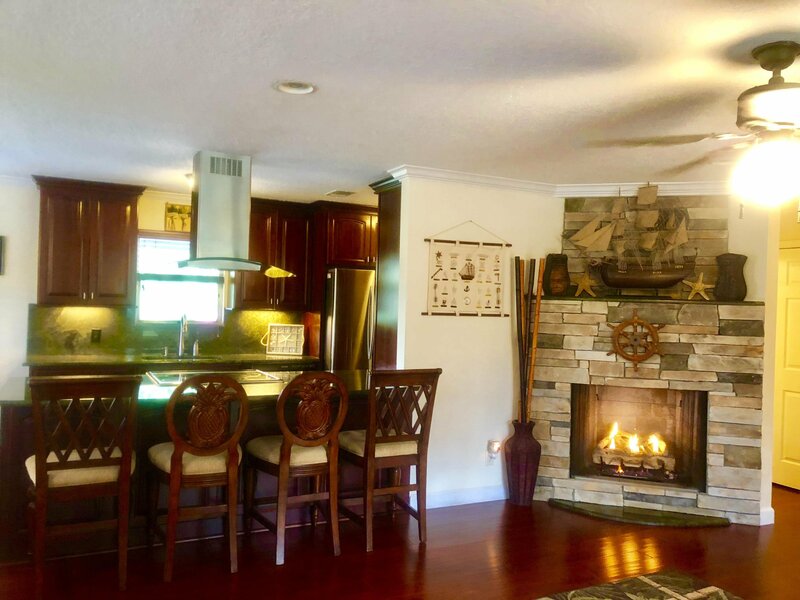 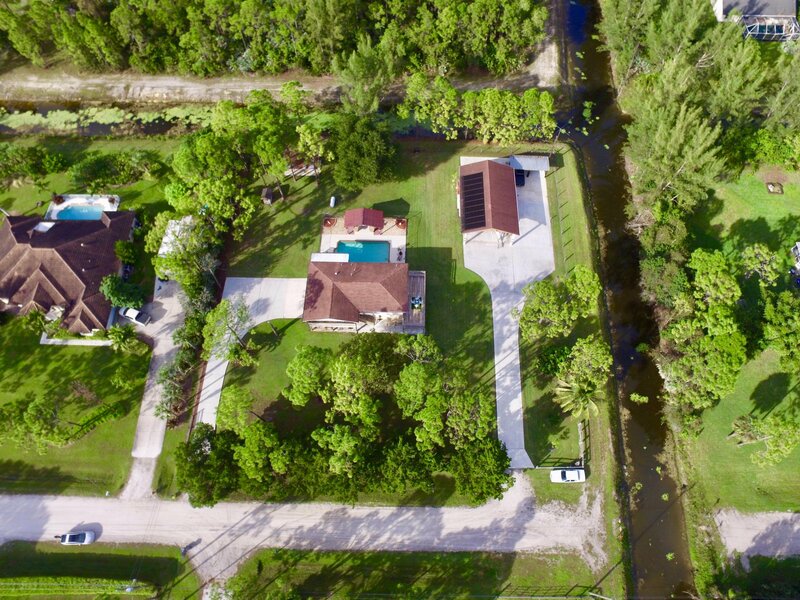 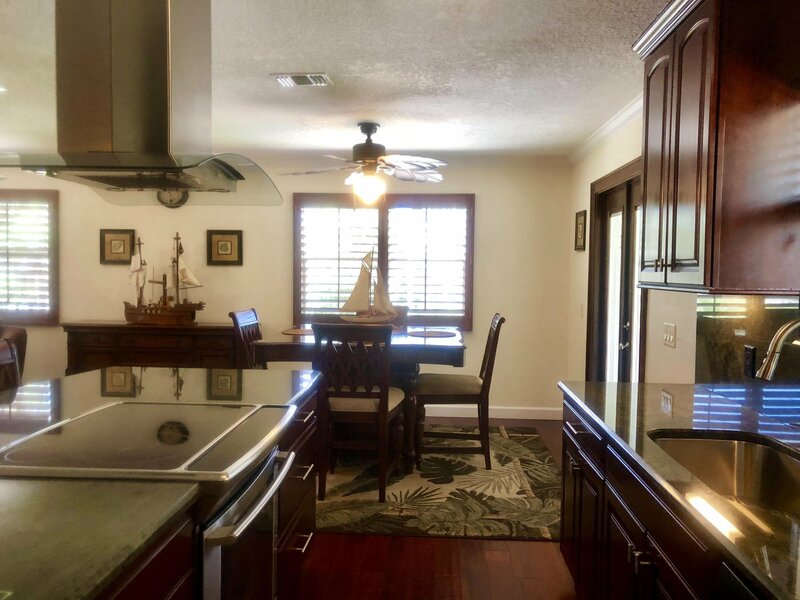 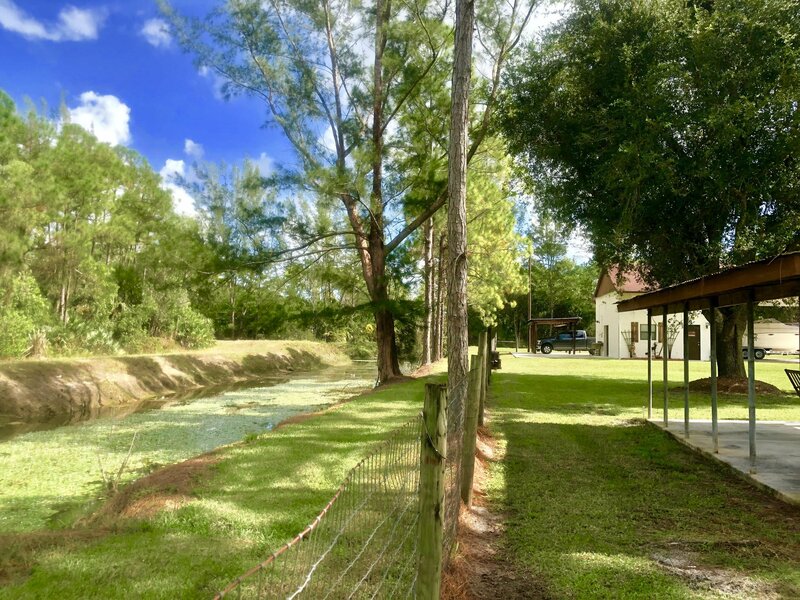 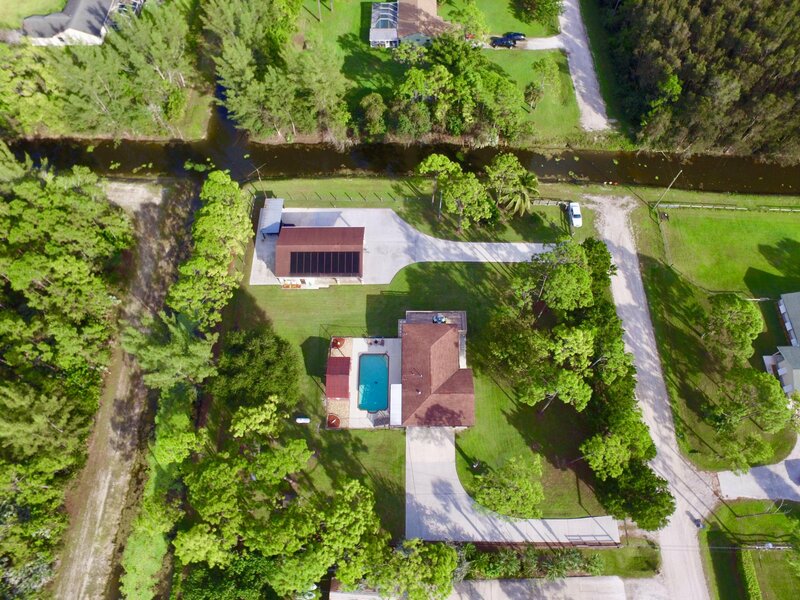 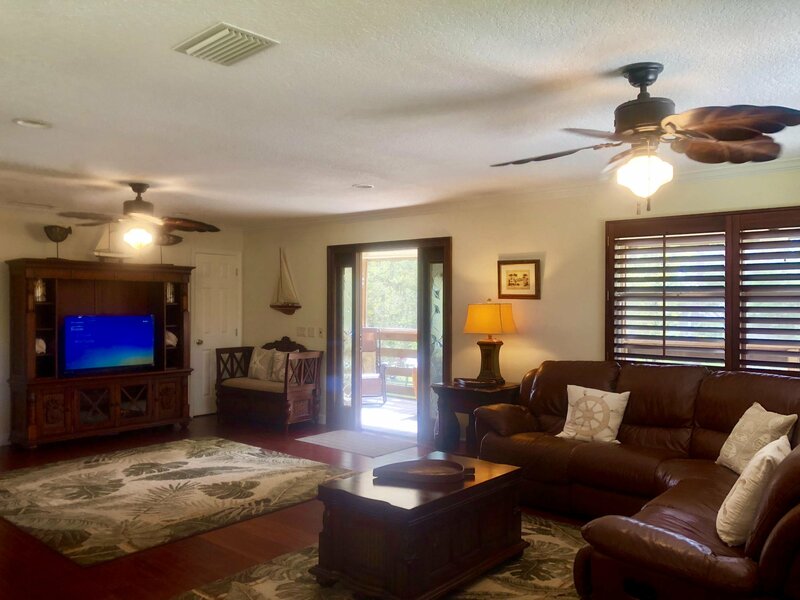 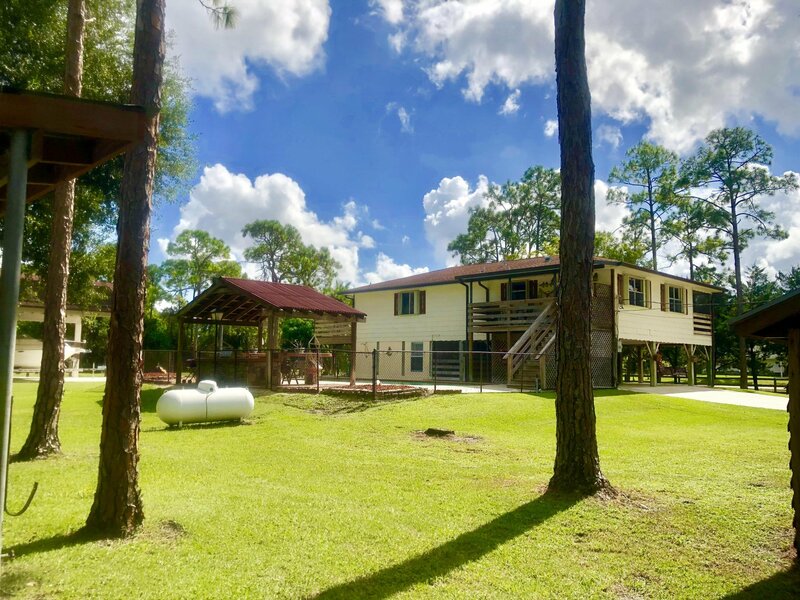 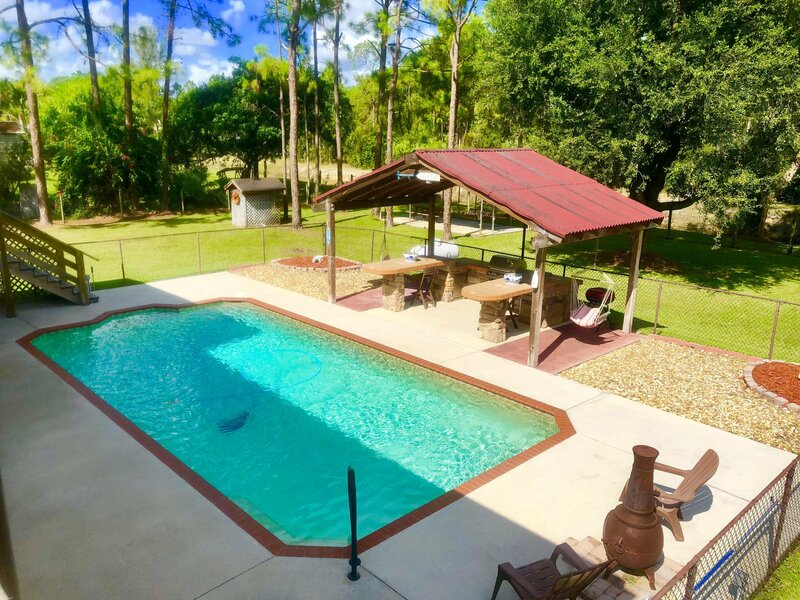 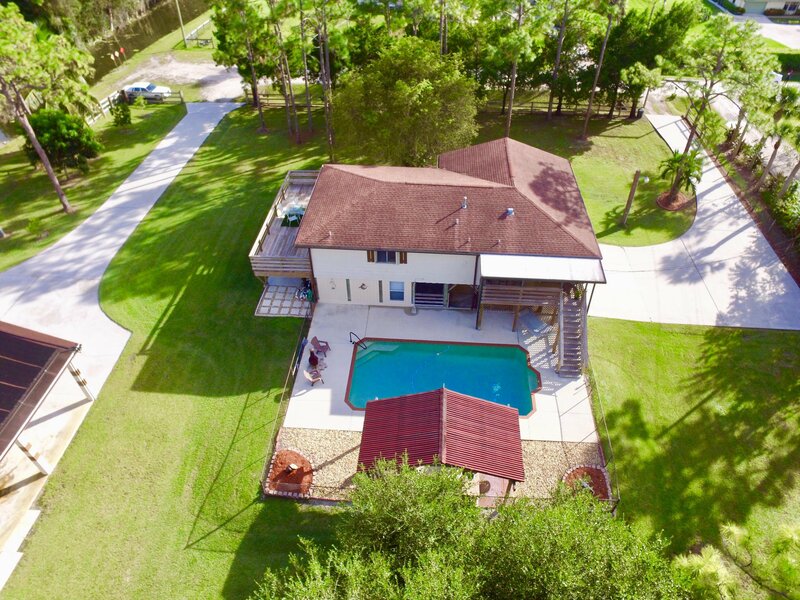 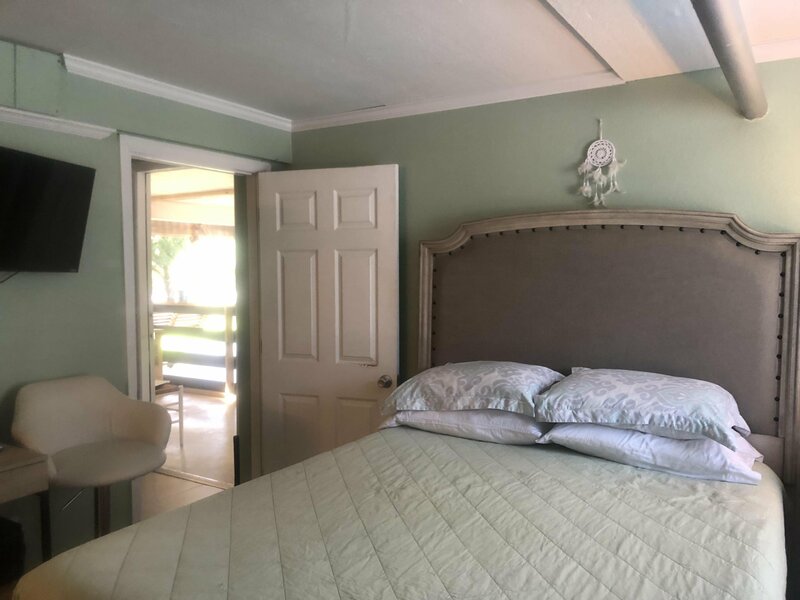 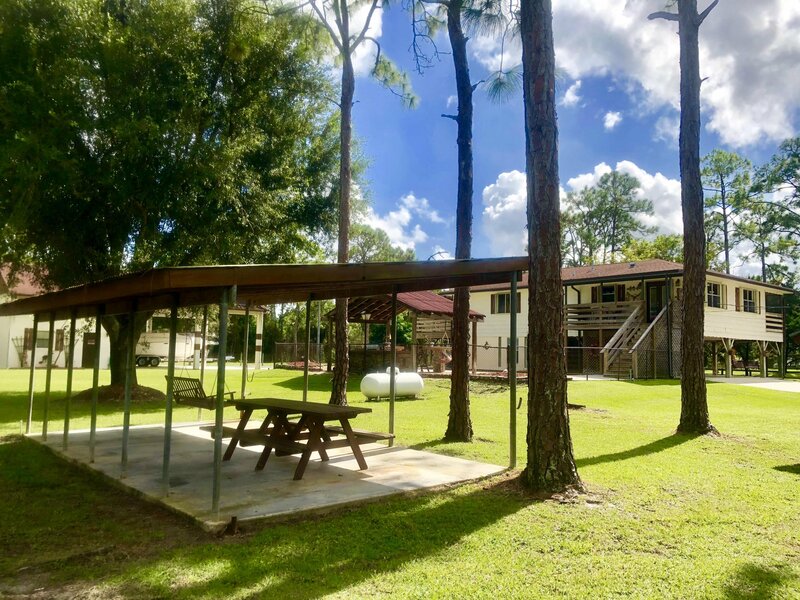 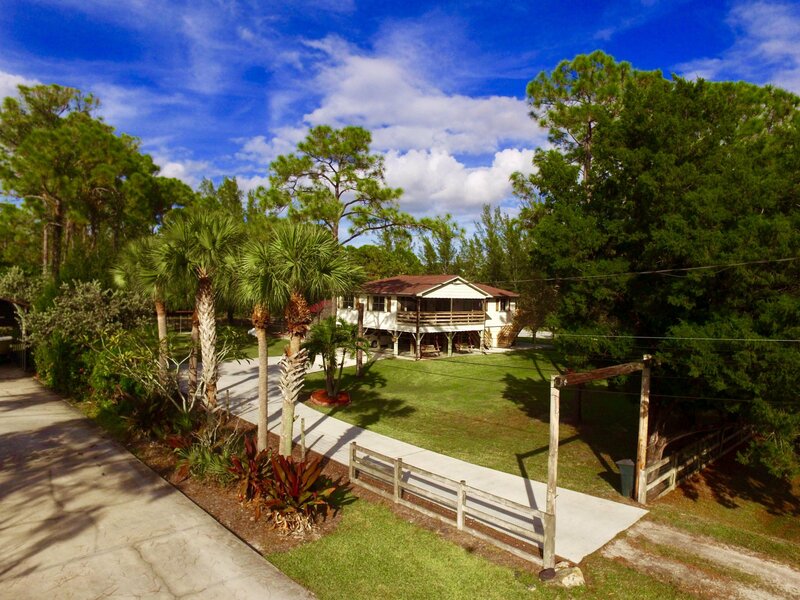 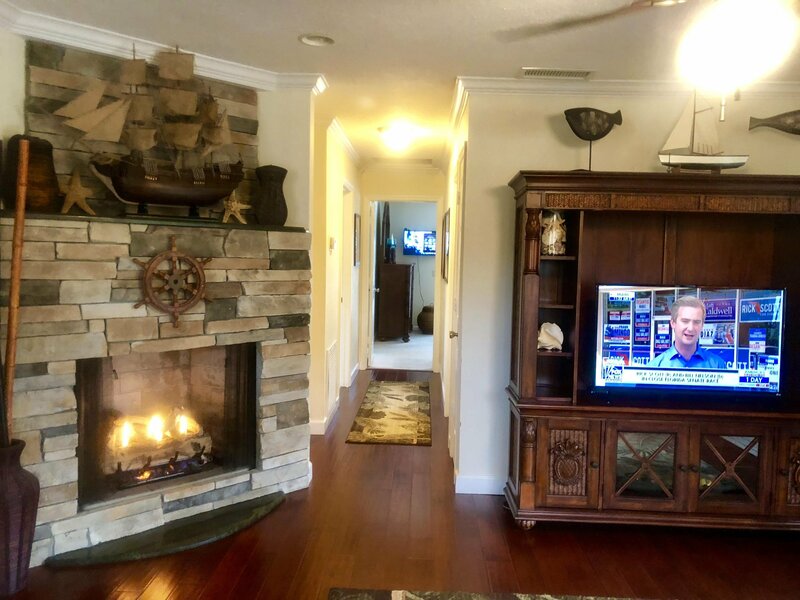 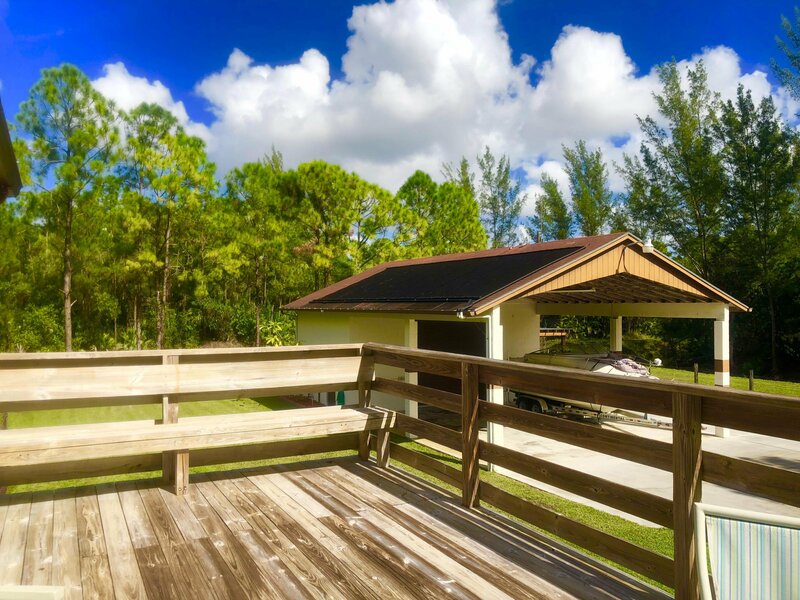 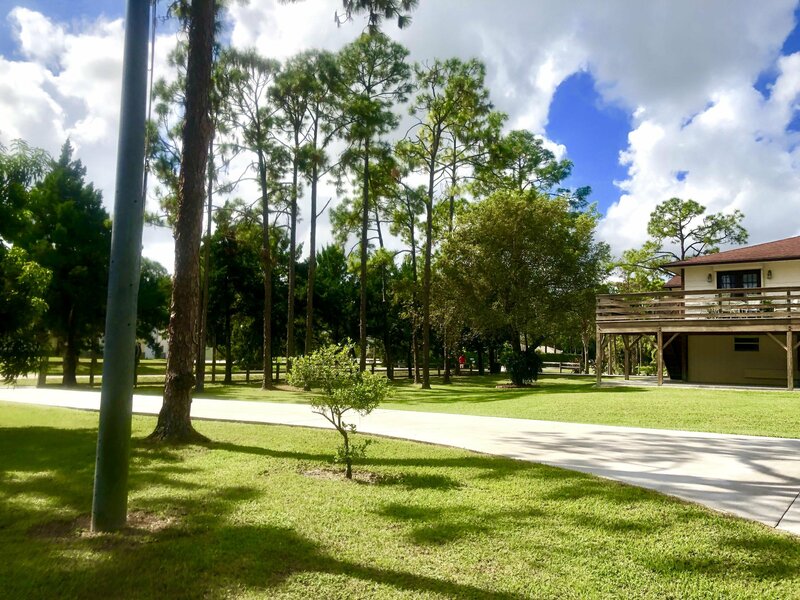 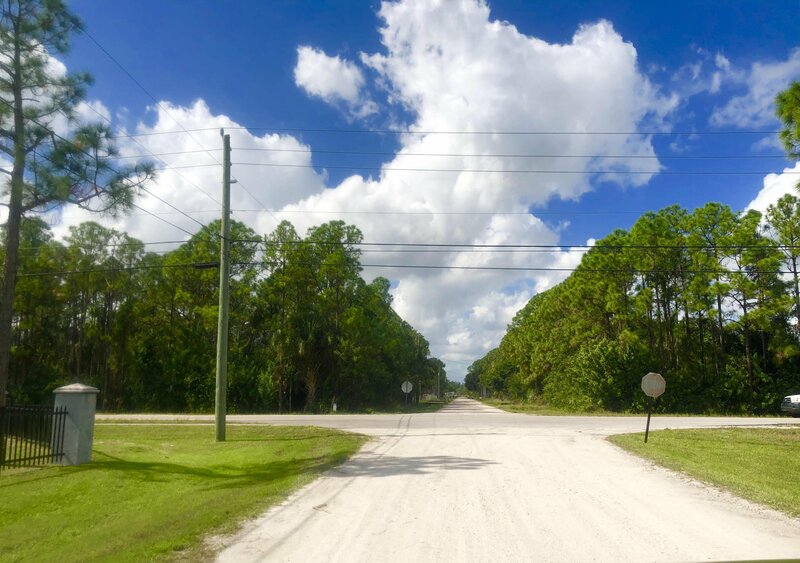 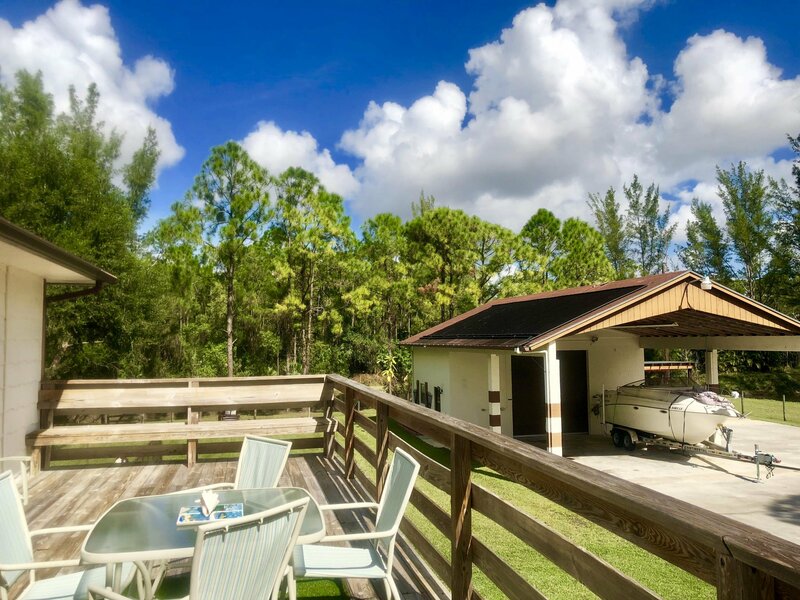 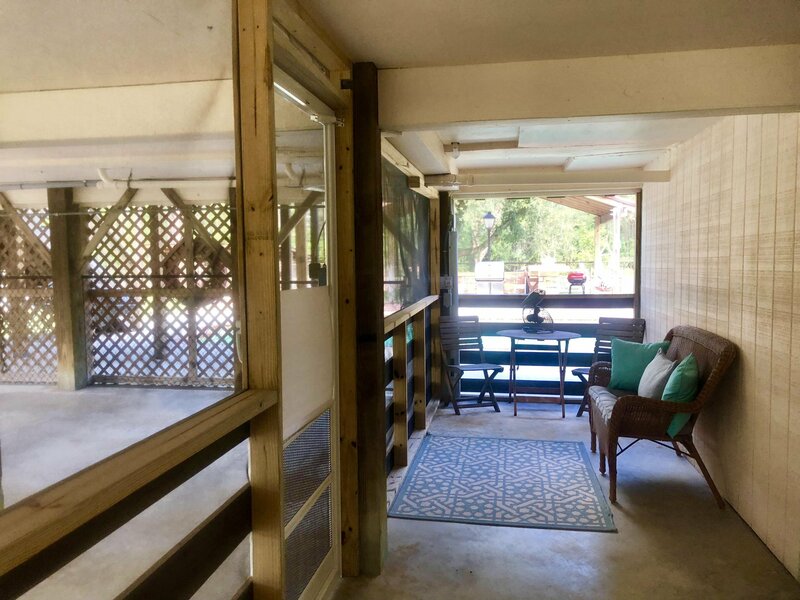 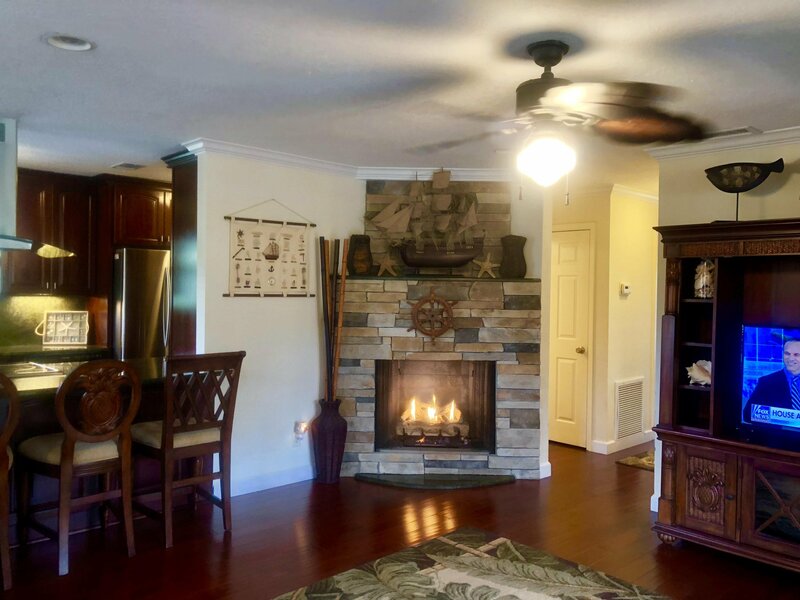 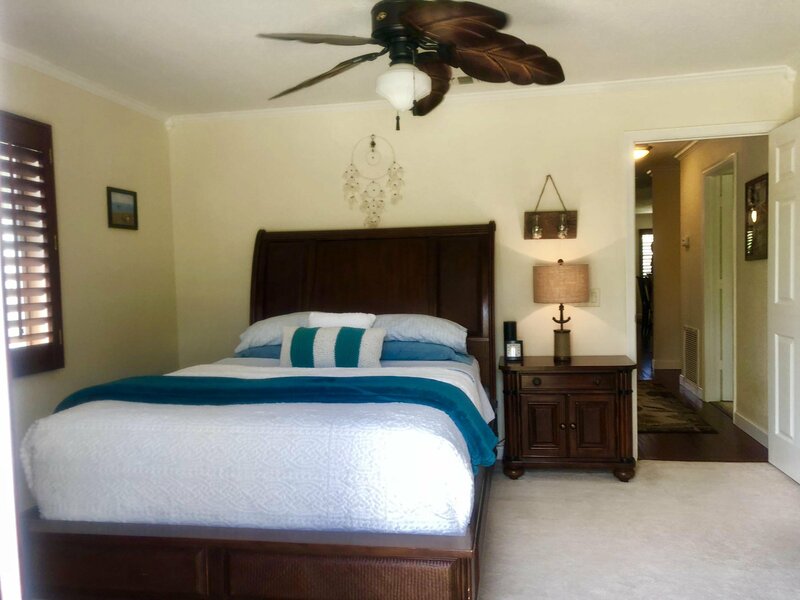 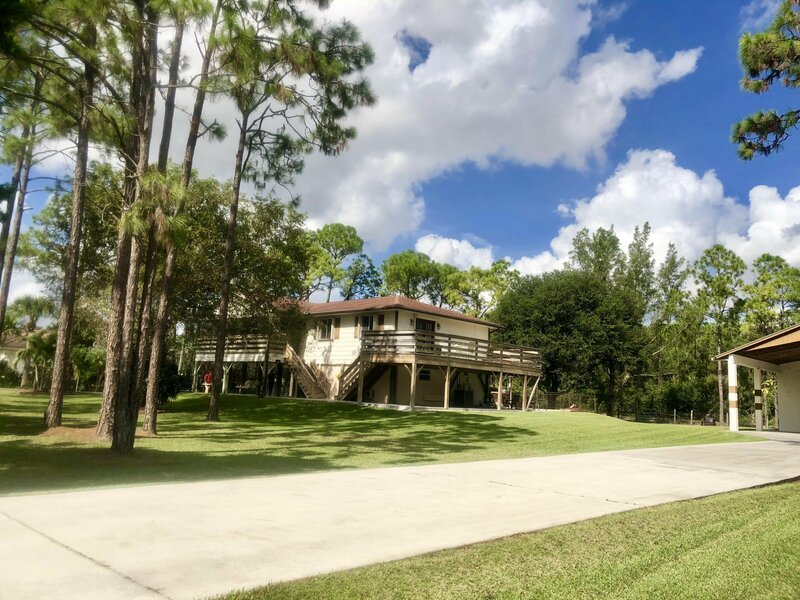 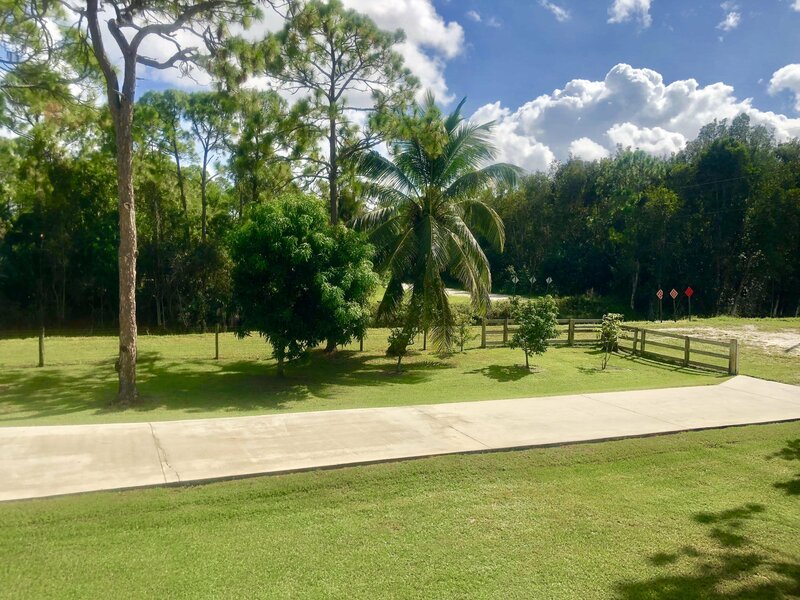 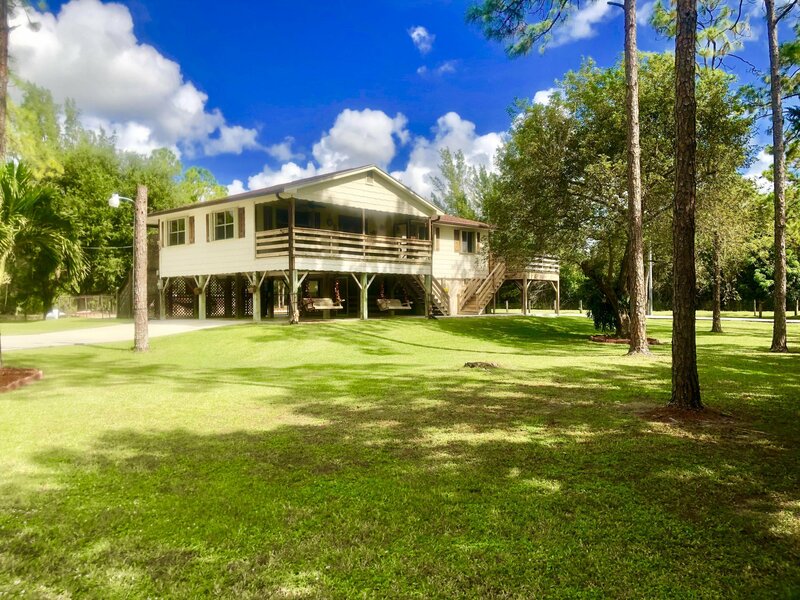 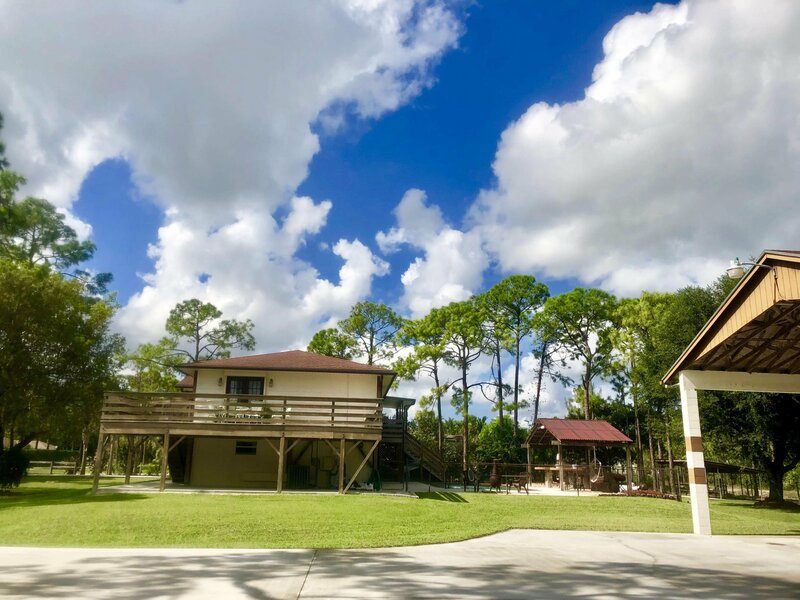 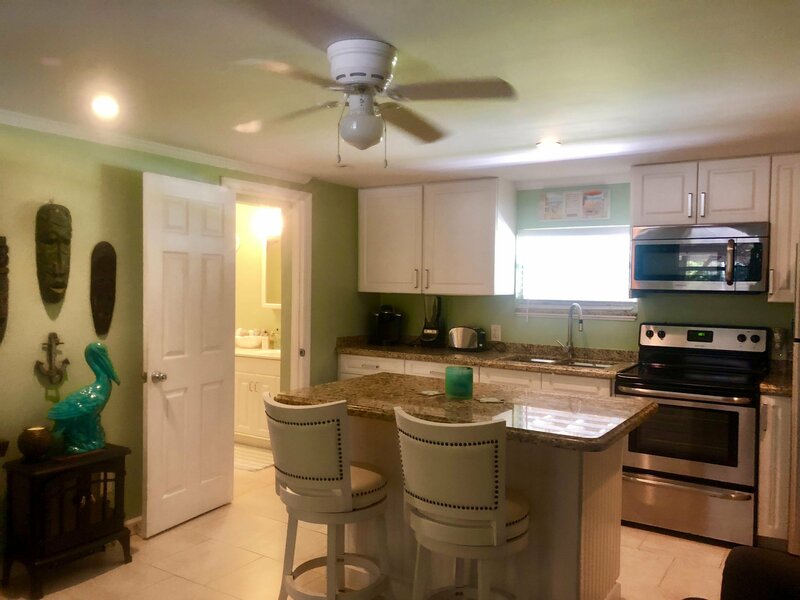 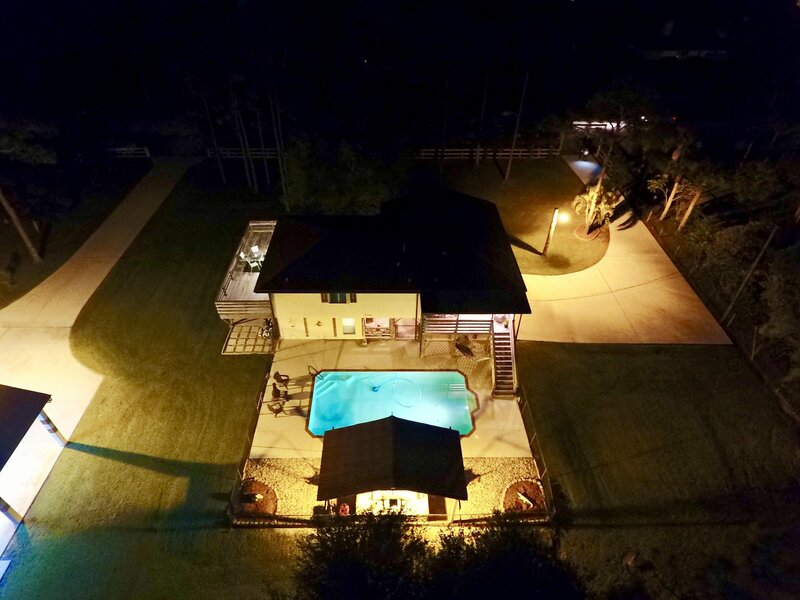 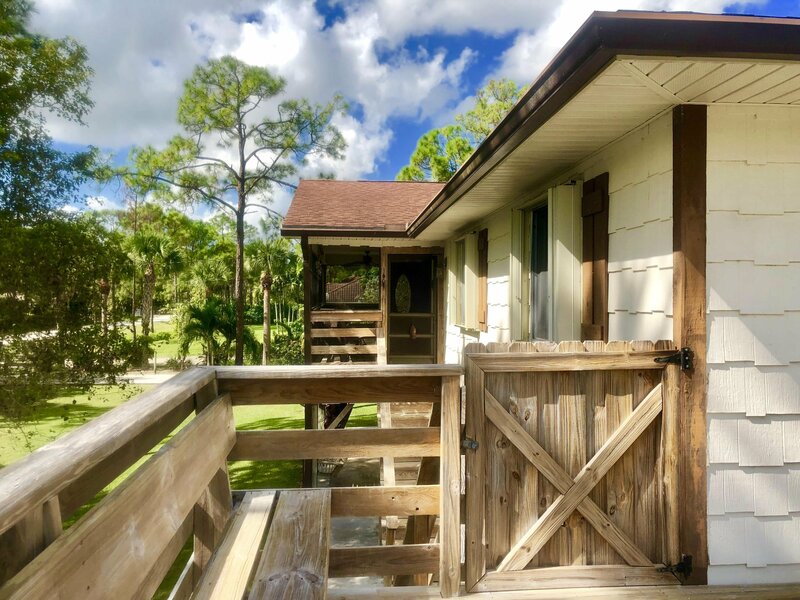 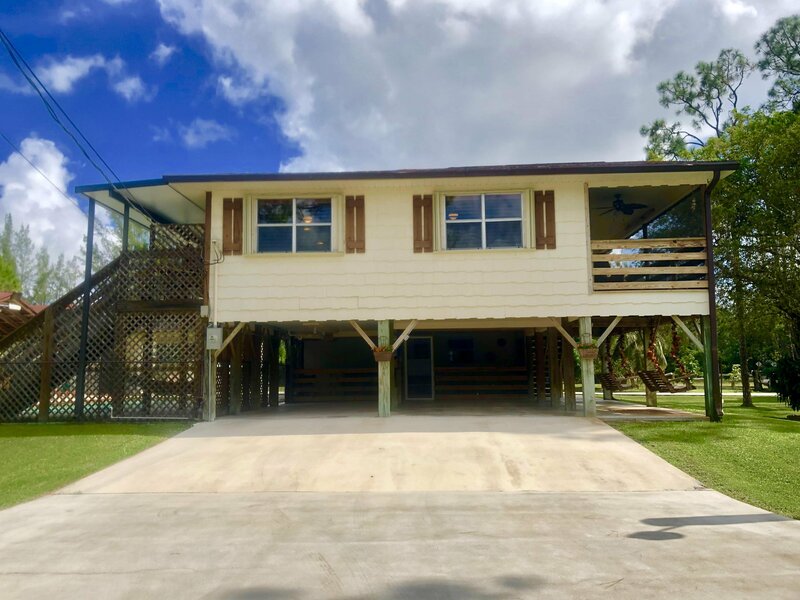 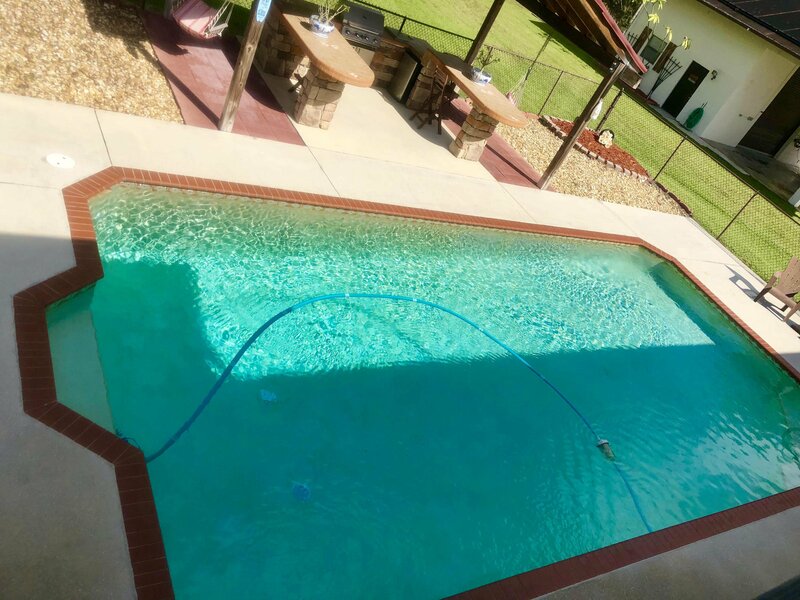 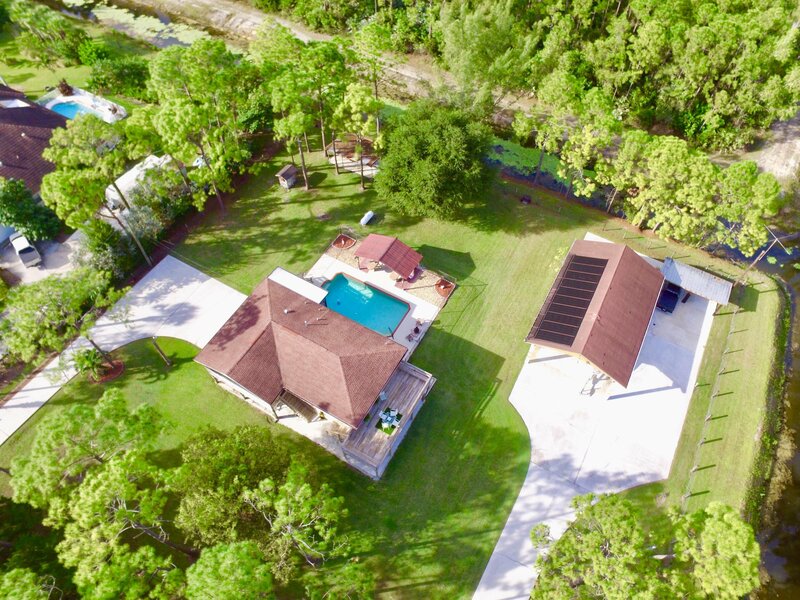 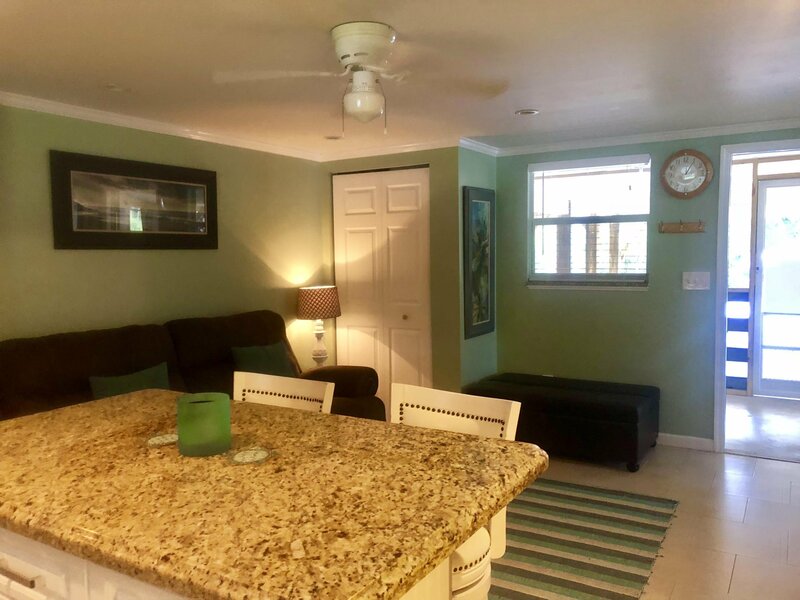 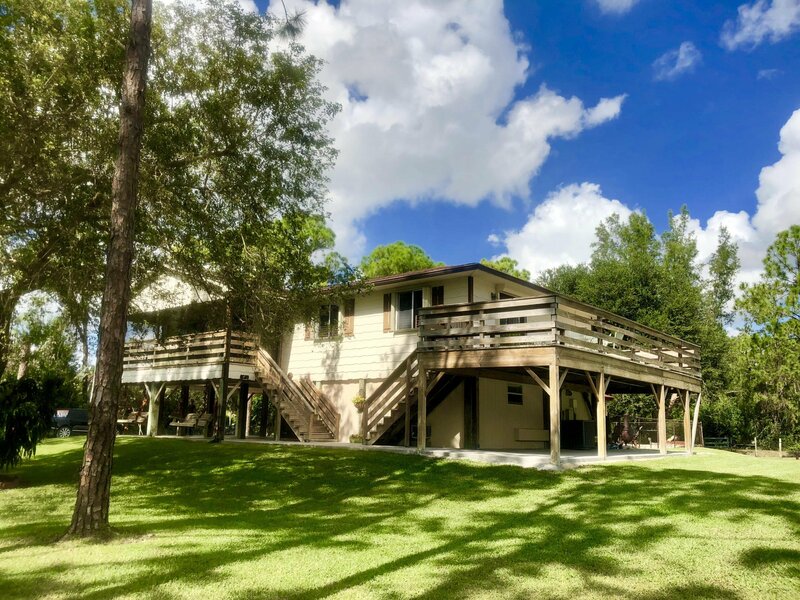 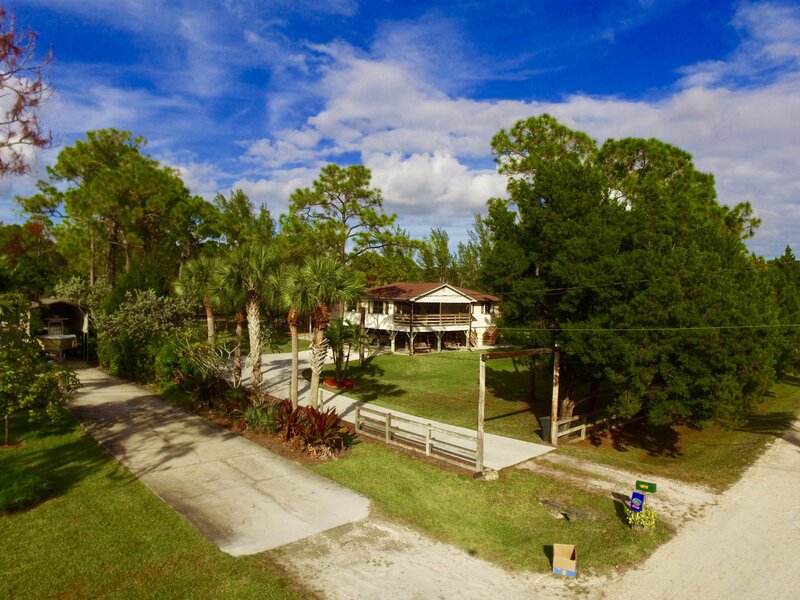 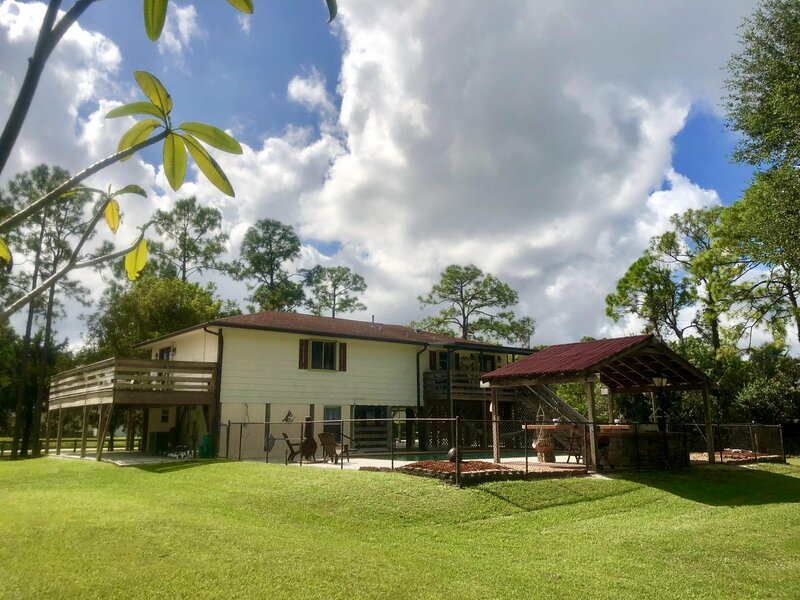 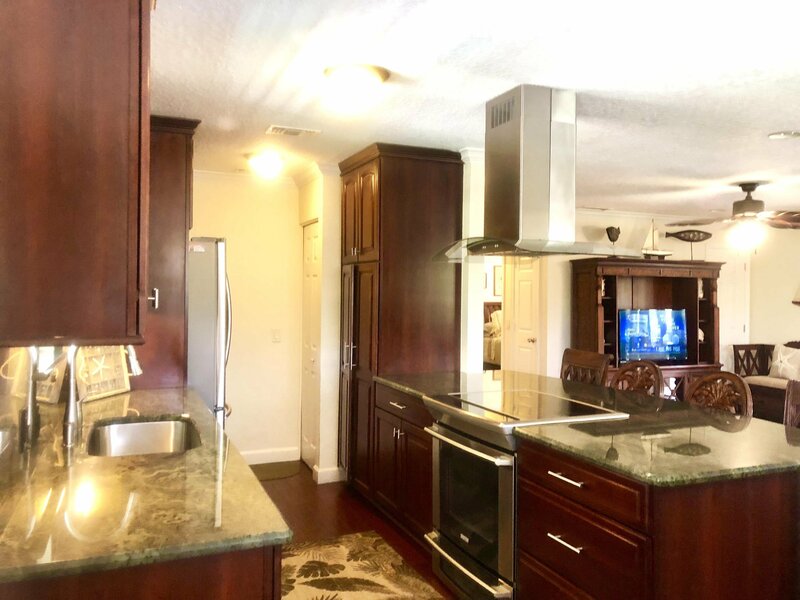 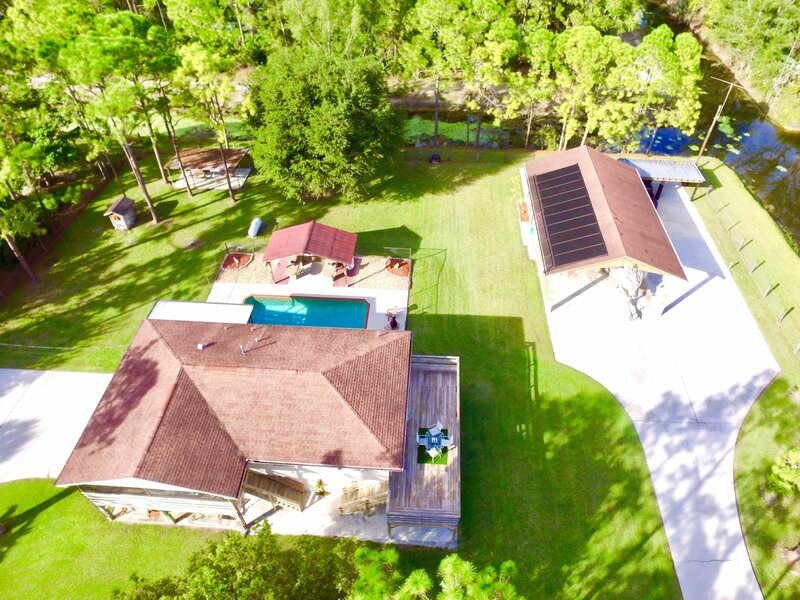 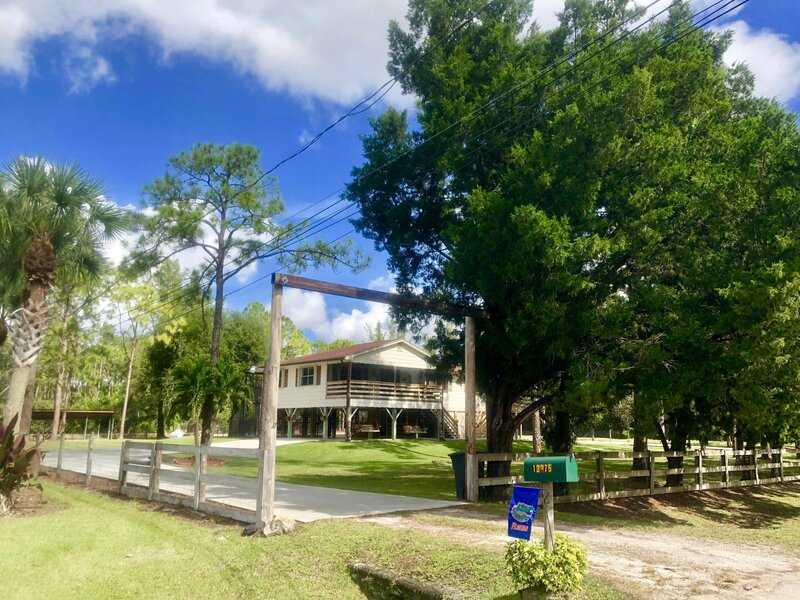 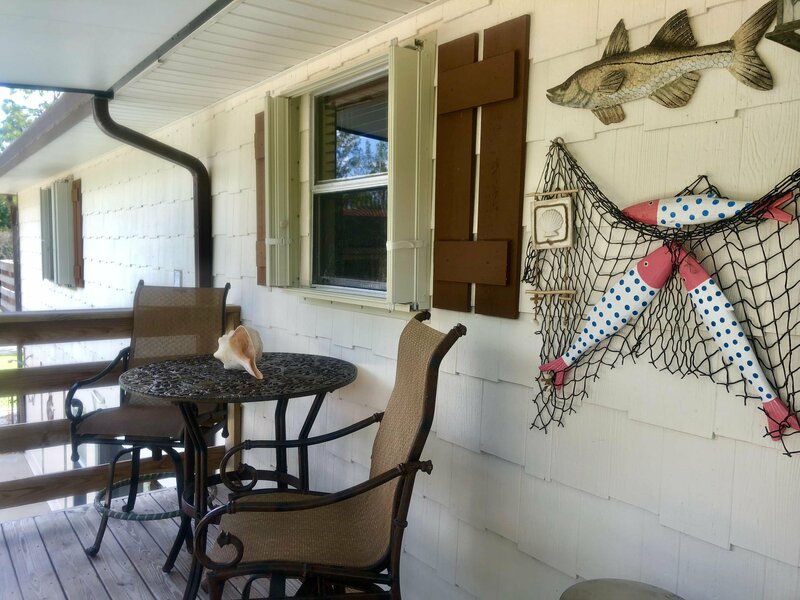 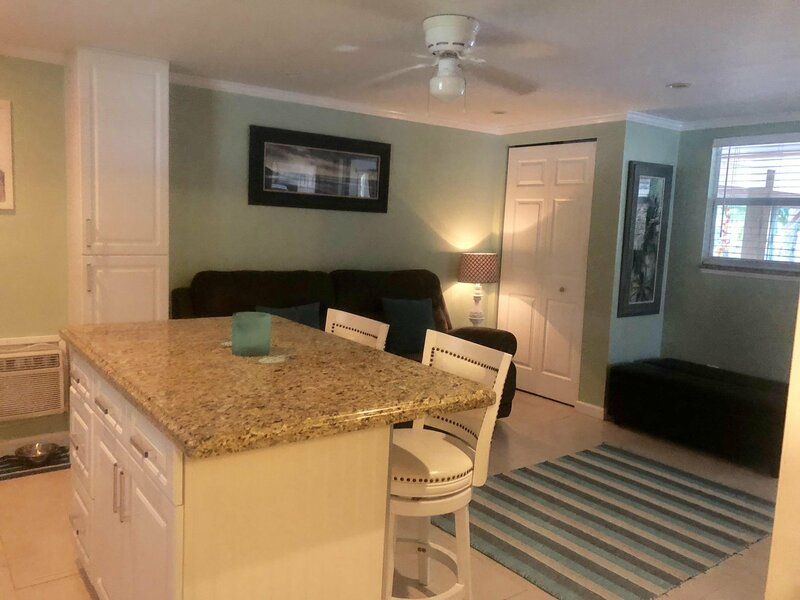 NESTLED ON AN OVERSIZED CORNER LOT 1.47 ACRES - THIS WELL MAINTAINED 3 BEDROOM 2 BATH POOL HOME WITH FRONT SCREENED PORCH, BACK PORCH AND PRIVATE BALCONY OF MASTER PLUS SEPARATE 1 BEDROOM APT GUEST QUARTERS ON 1ST FLOOR WITH PVT SCREENED SITTING AREA. 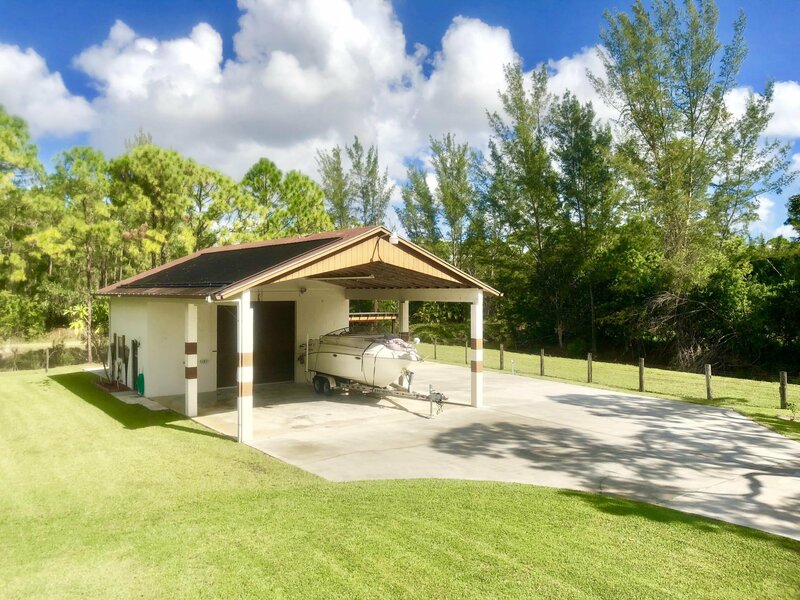 AND FOR HIM- HUGE DETACHED CBS WORKSHOP/ MANCAVE WITH COMPRESSOR, WATER AND ELECTRIC !! 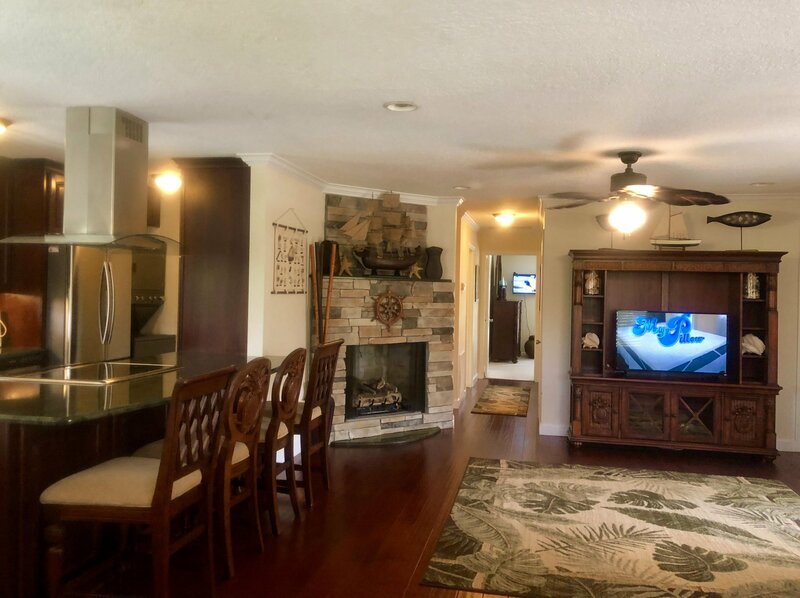 THIS HOME IS SITUATED ON A QUIET STREET WITH NO REAR AND EASTERN NEIGHBORS. 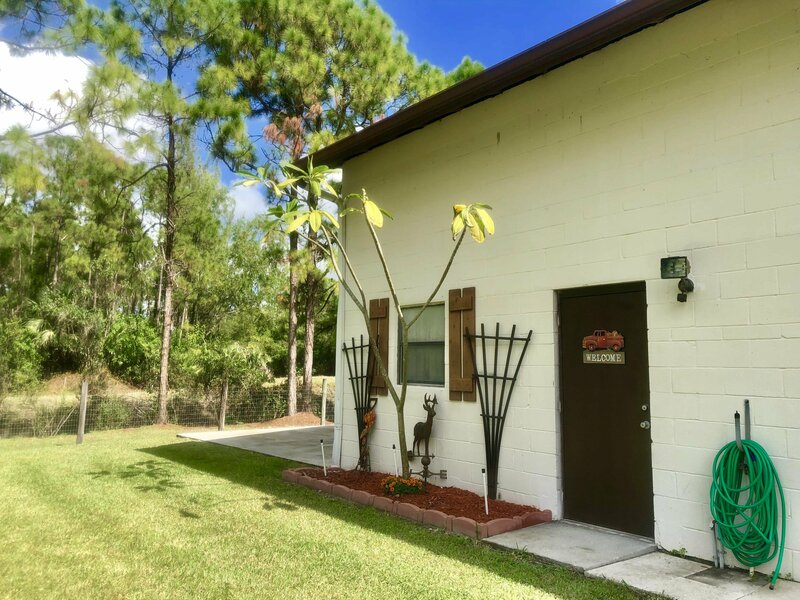 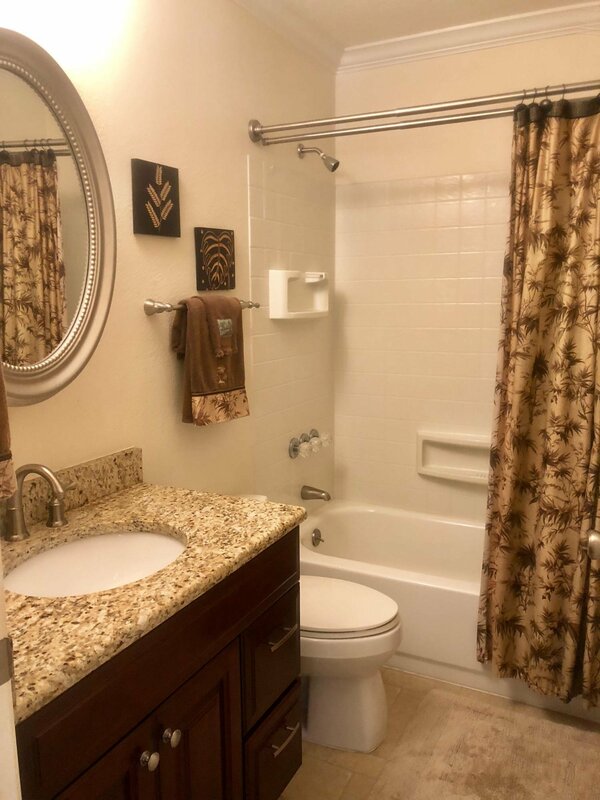 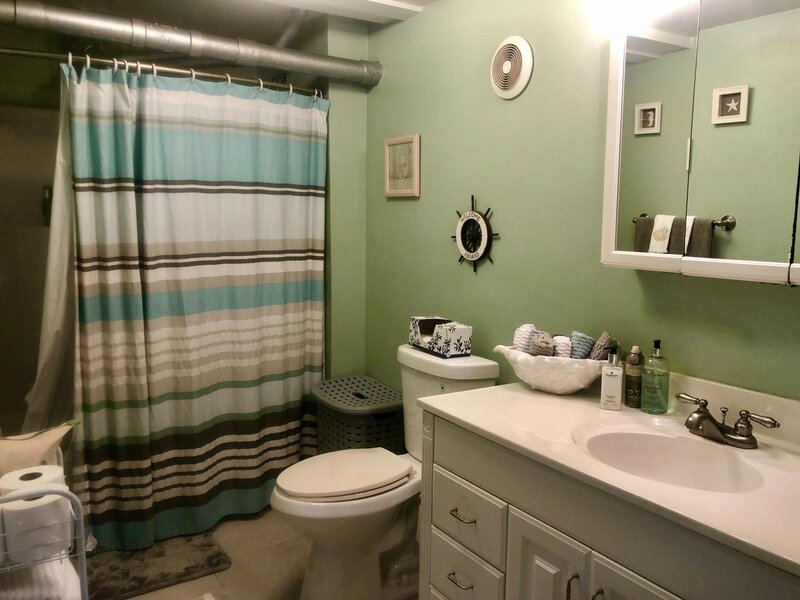 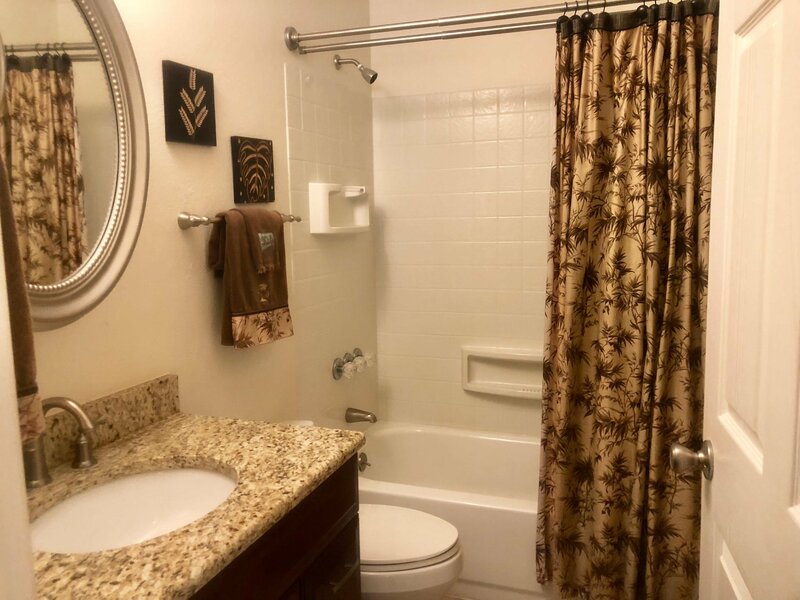 WITH NO HOA- THIS IS SUITABLE FOR A HOME BASED BUSINESS REQUIRING A LARGE DET BLDG. 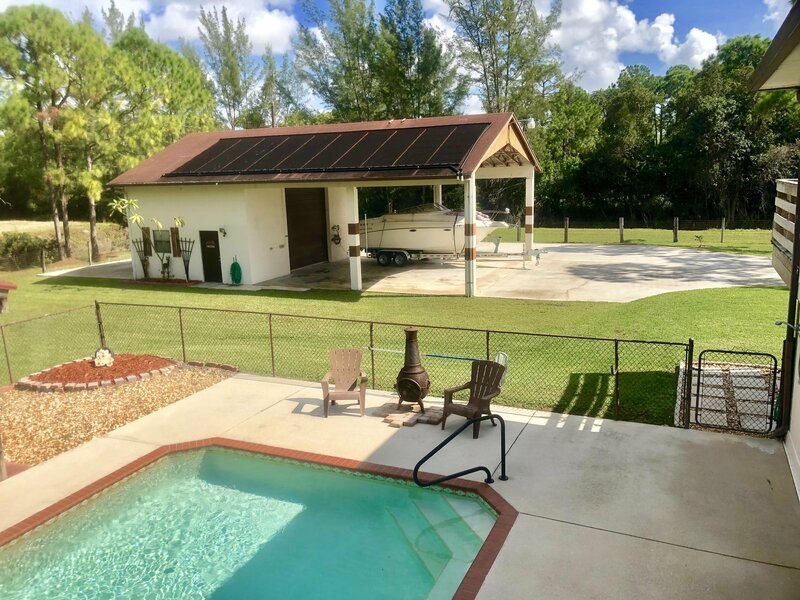 BRING YOUR RV, BOAT OR TRAILER. 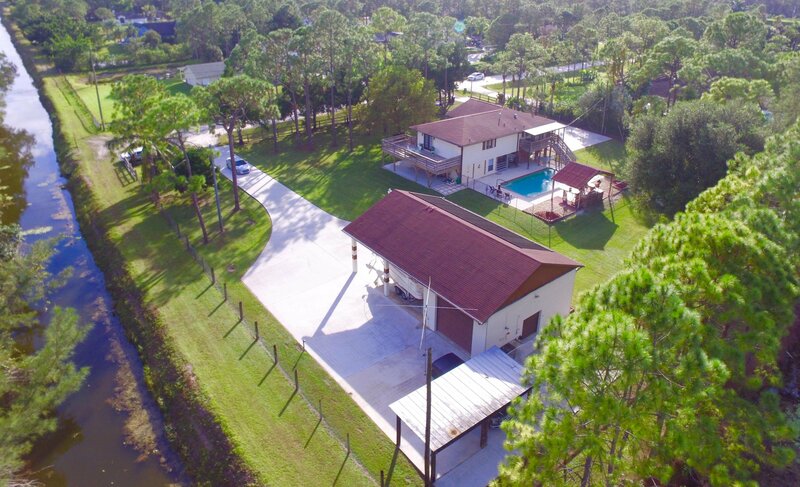 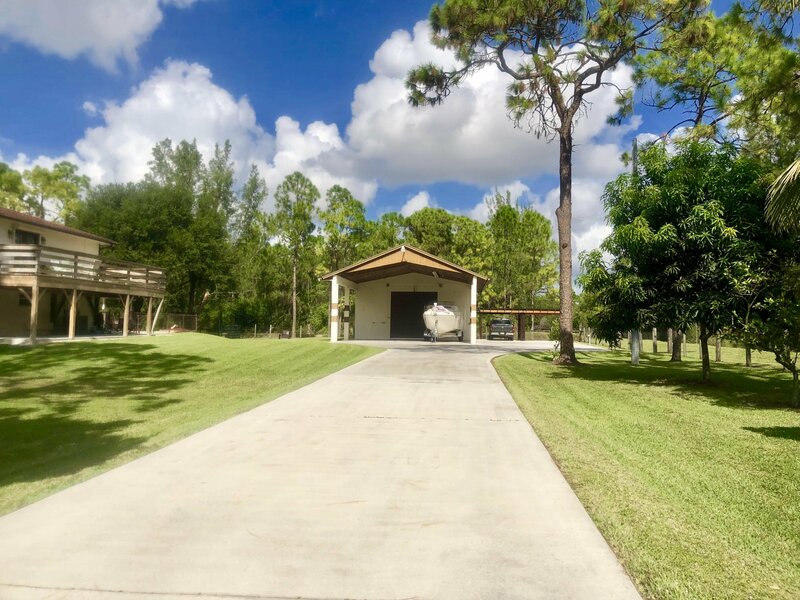 THE 2 CONCRETE DRIVEWAY WITH 2 GATE ENTRANCES CAN HOLD UP TO 12 CARS !! 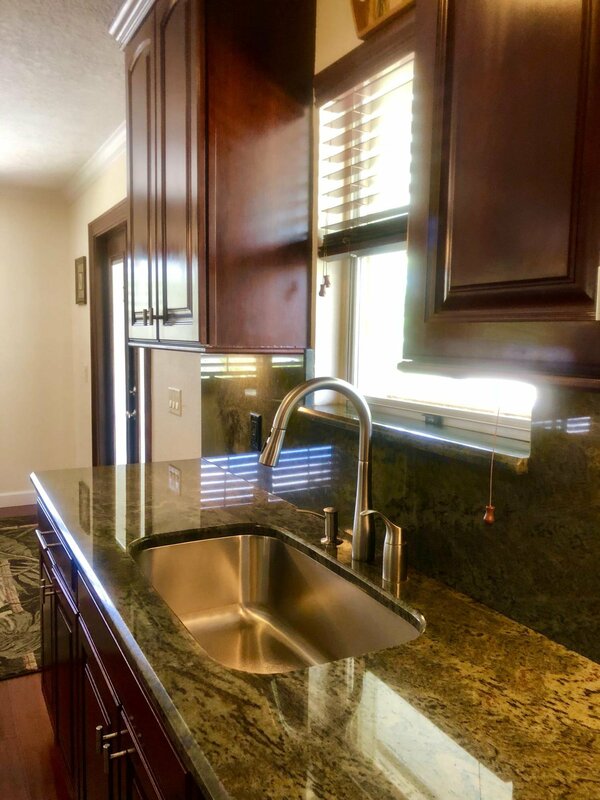 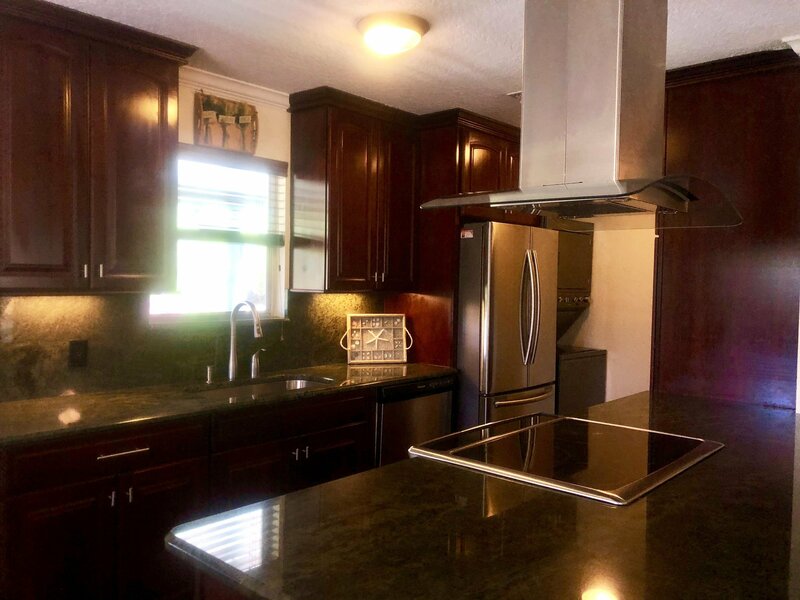 DESIGNER KITCHEN WITH GRANITE, STAINLESS APPL, ISLAND WITH COOK TOP AND 42 '' CABINETS !! 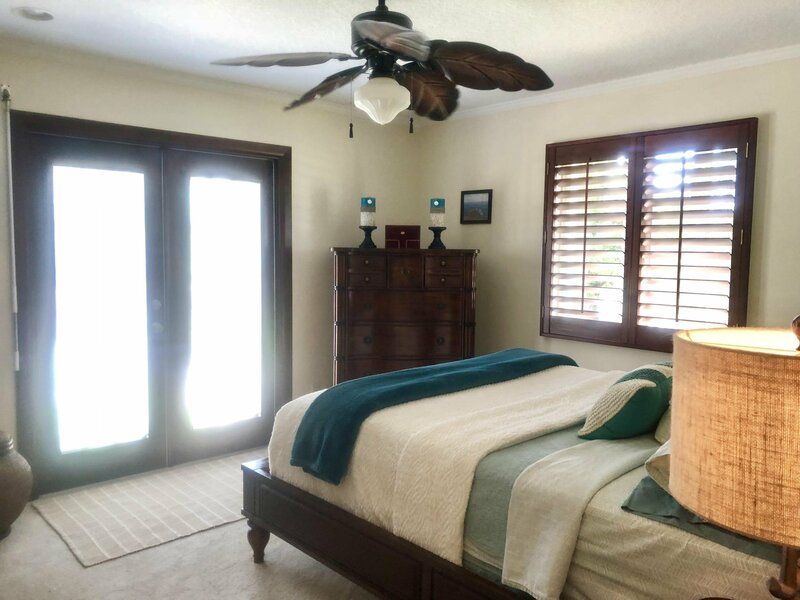 THIS HOME ALSO BOAST MASTER SUITE WITH PVT BALCONY TO ENJOY AN EVENING DRINK WHILE WATCHING THE SUNSET AND LISTENING TO THE BIRDS CHIRP. 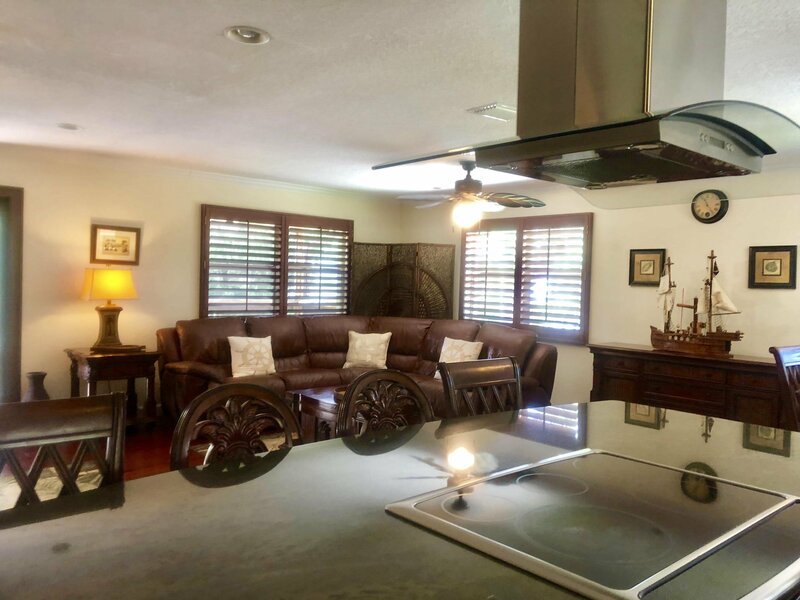 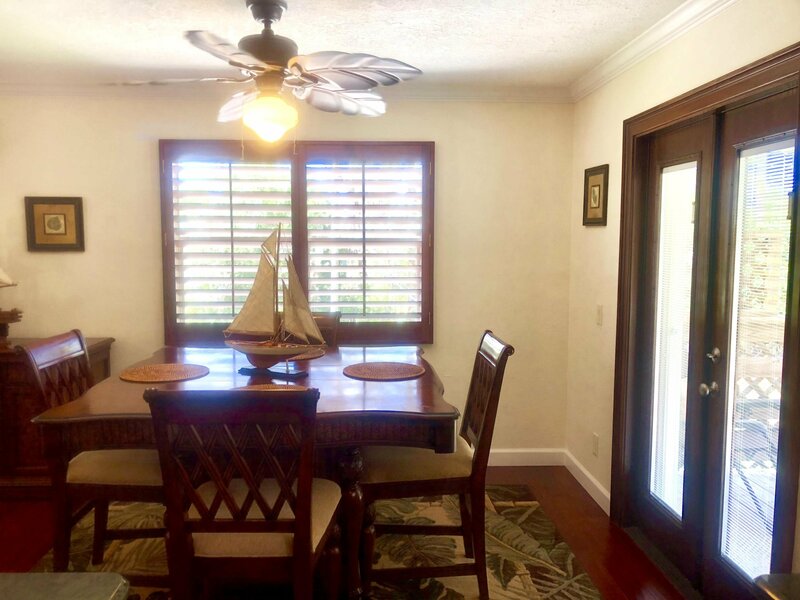 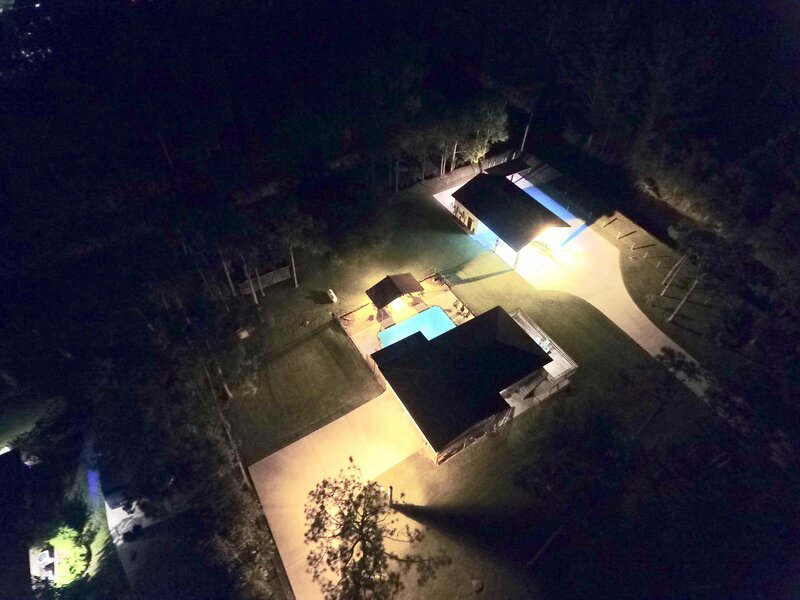 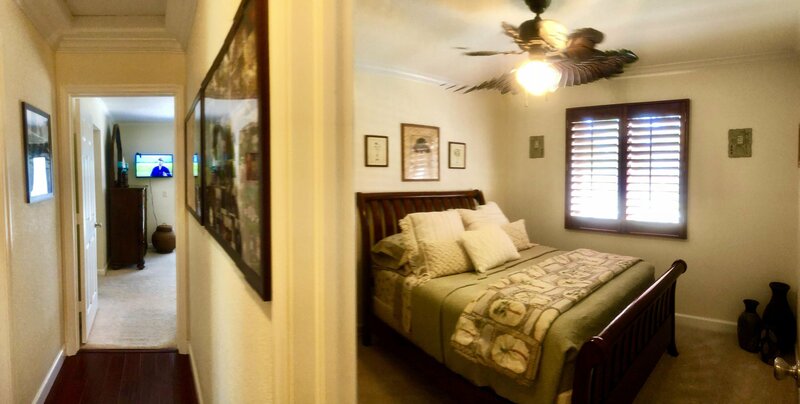 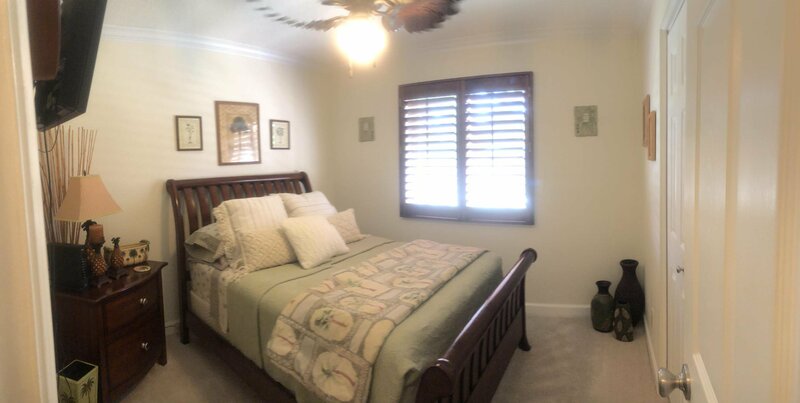 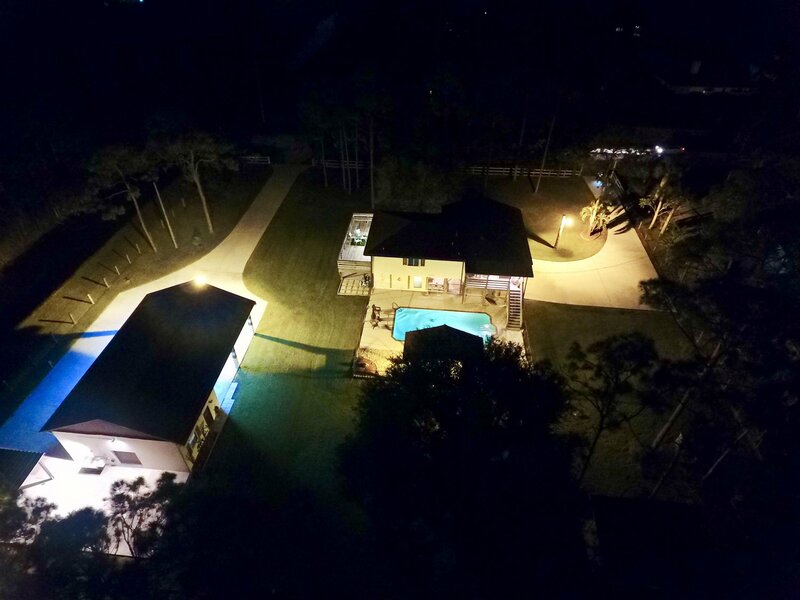 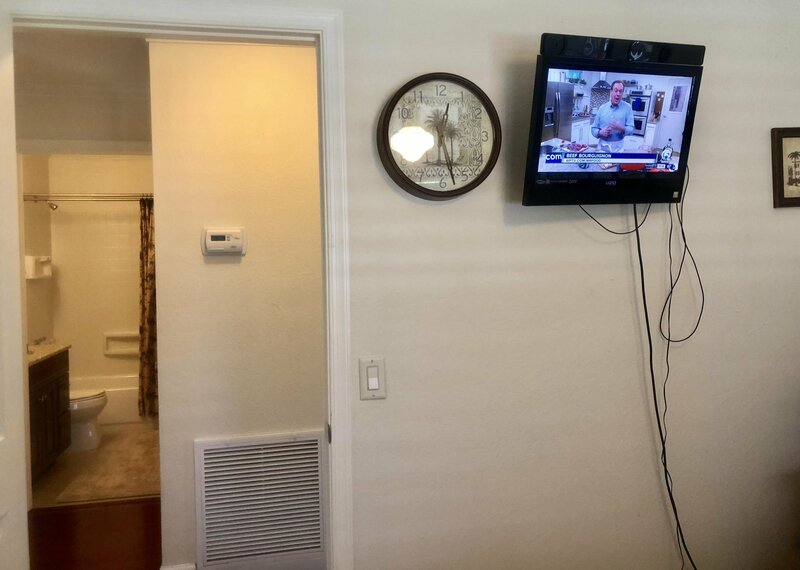 UPGRADES INCLUDES ACCORDIAN SHUTTERS, PLANTATION SHUTTERS, BUILT INS IN CLOSETS, CROWN MOLDING, FULLY FENCED, 18 X 36 GAME POOL!! 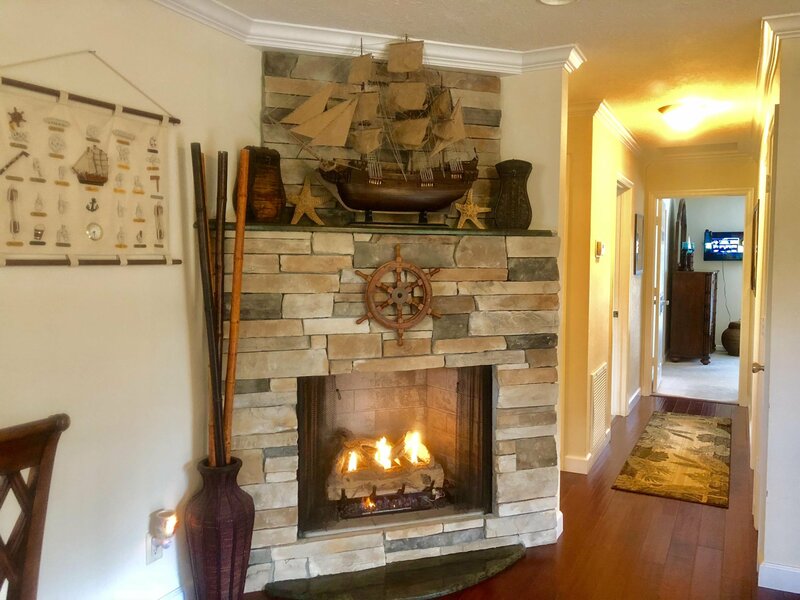 BEAUTIFUL AND FULLY FUNCTIONABLE FIREPLACE !! 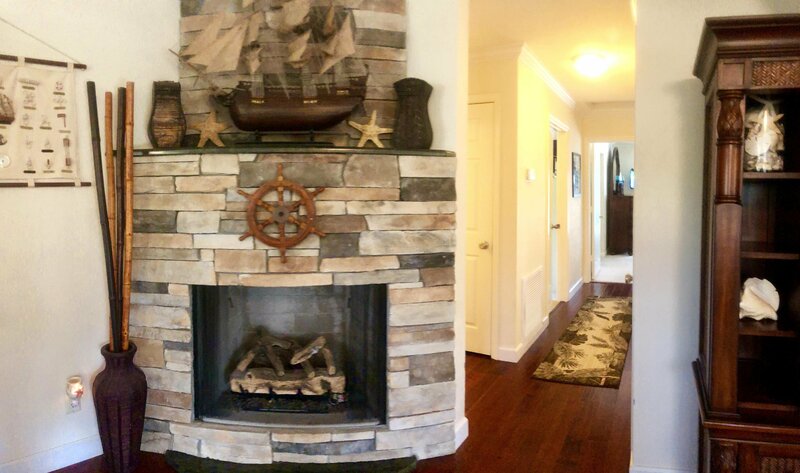 UPGRADED HAND SCRAPED WOOD FLOORING !! 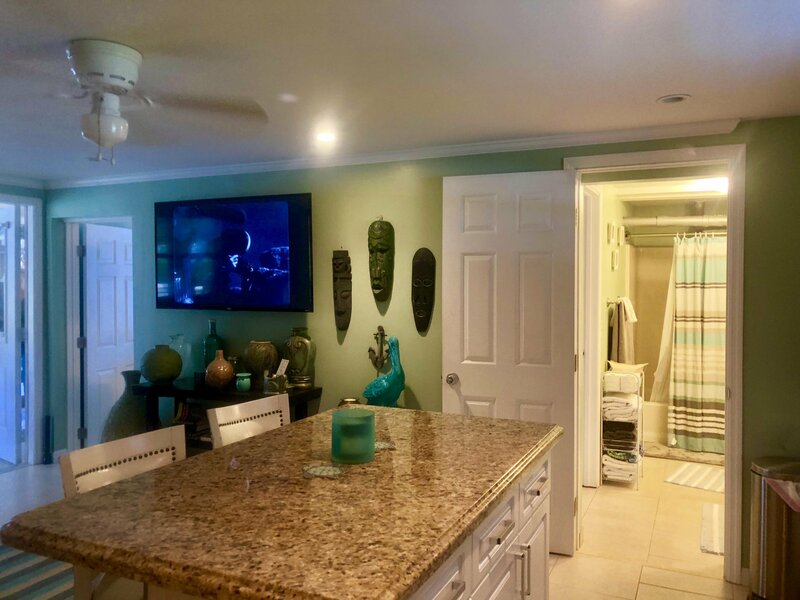 LOTS OF EXOTIC FRUITS- MANGO, AVOCADO, STARFRUIT, LIME, ORANGE, COCONUTS !! 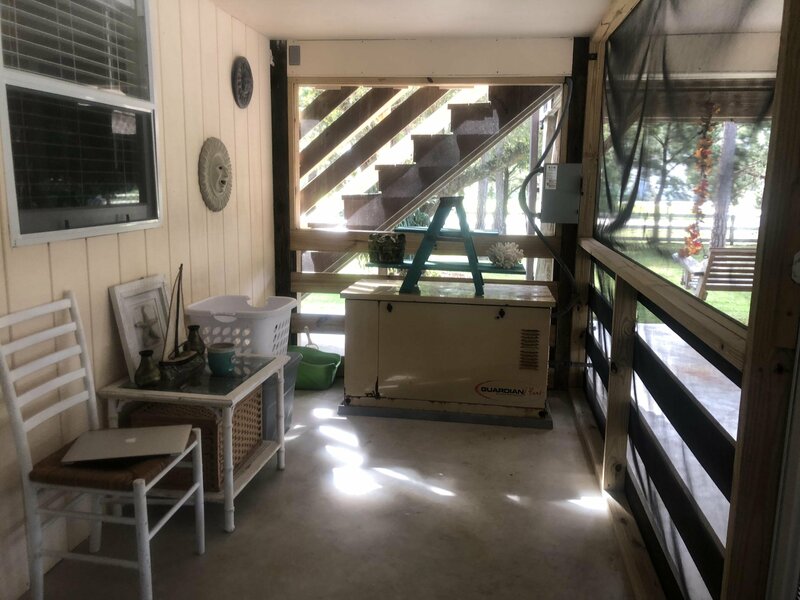 FOR THE SPECIAL BUYER- BAR B QUE GRILL , COMPRESSOR, MOWER, AND WHOLE HOUSE GENERATOR GIFTED !! 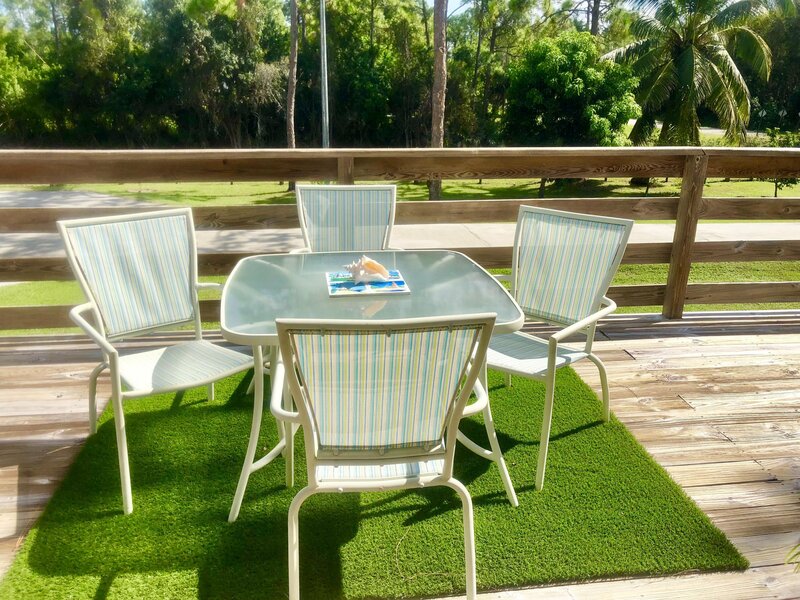 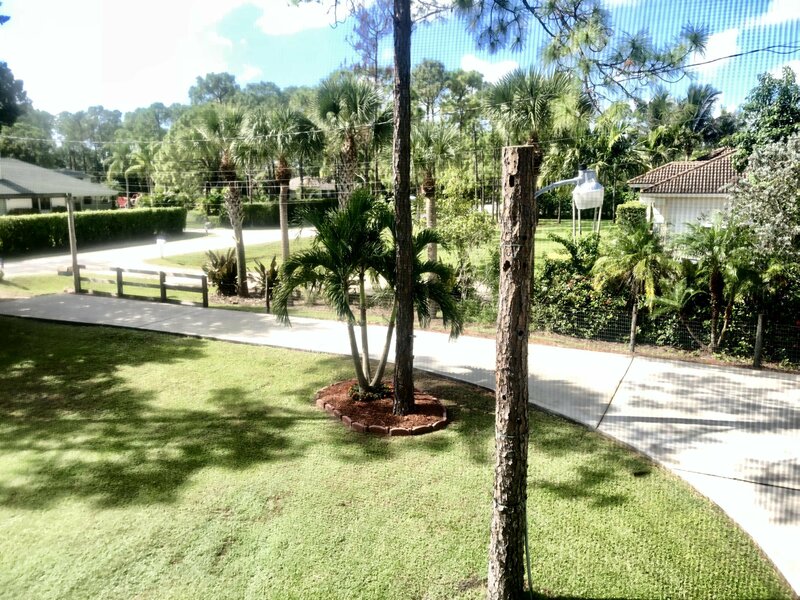 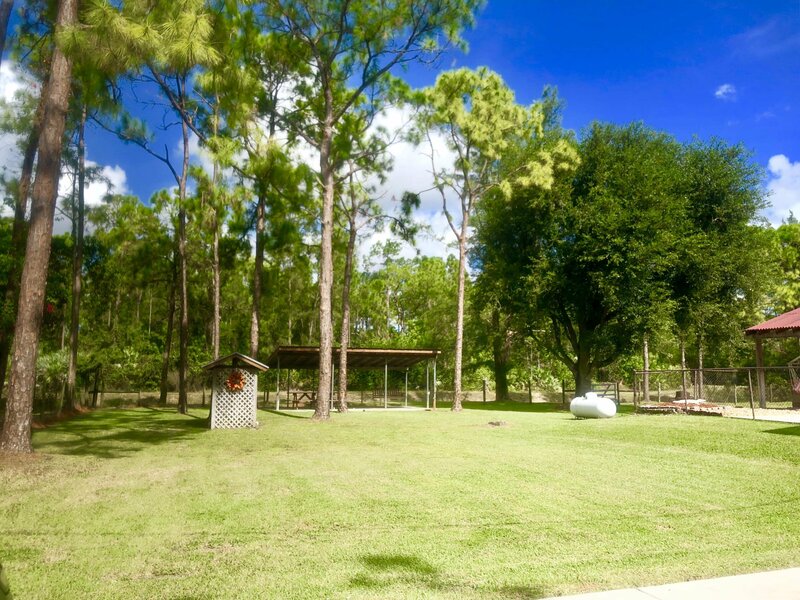 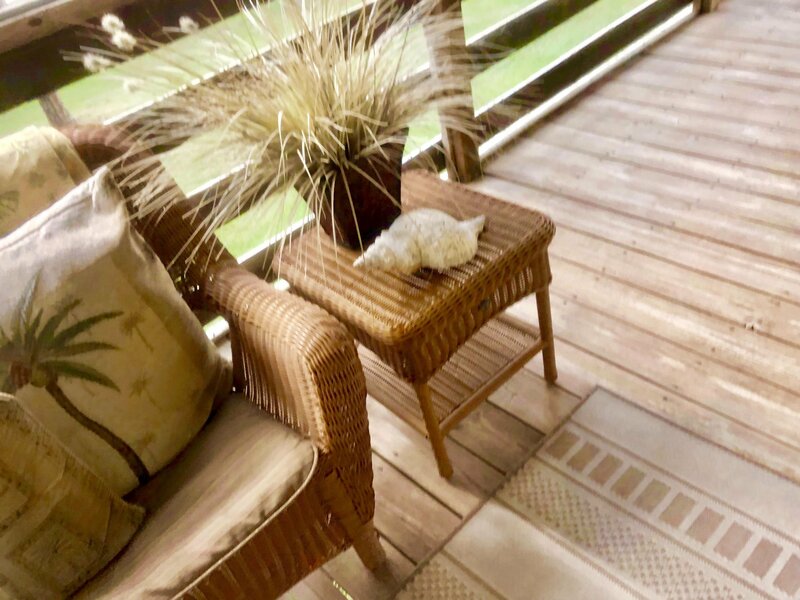 EVERY INCH OF THIS PROPERTY IS MANICURED WITH QUIET SITTING AREA TO ENJOY THE OUT DOOR LIFESTYLE !! 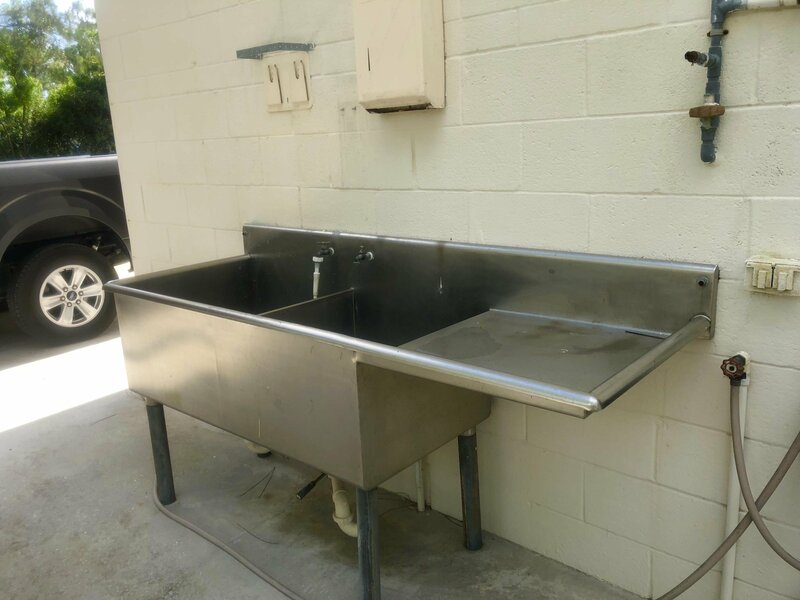 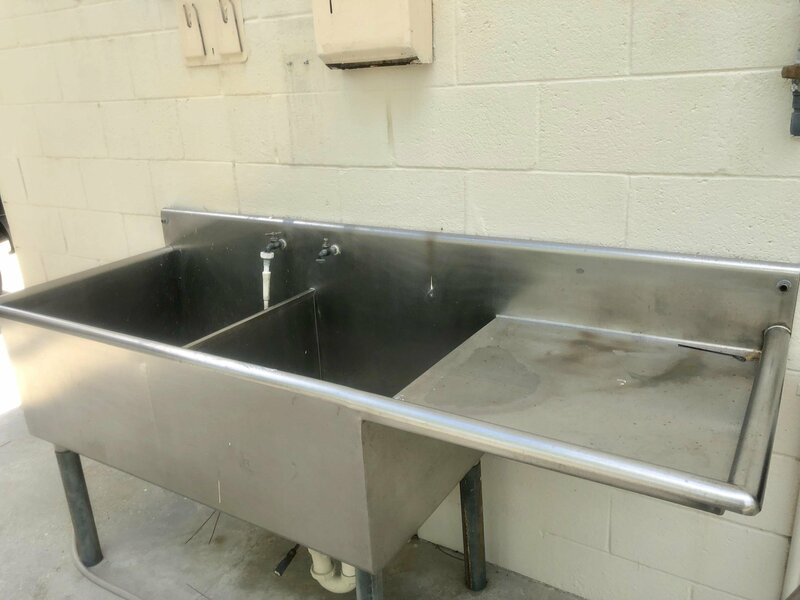 HUGE STAINLESS STEEL SINK WITH WATER AND PREP AREA FOR THE GAMERS. 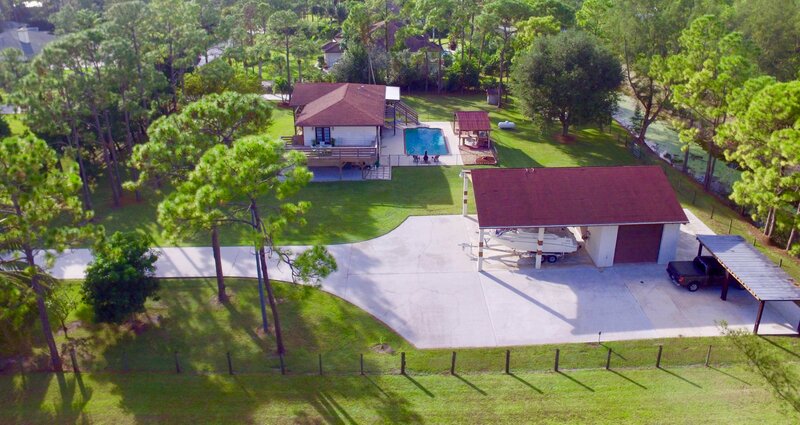 RV HOOK UP !! 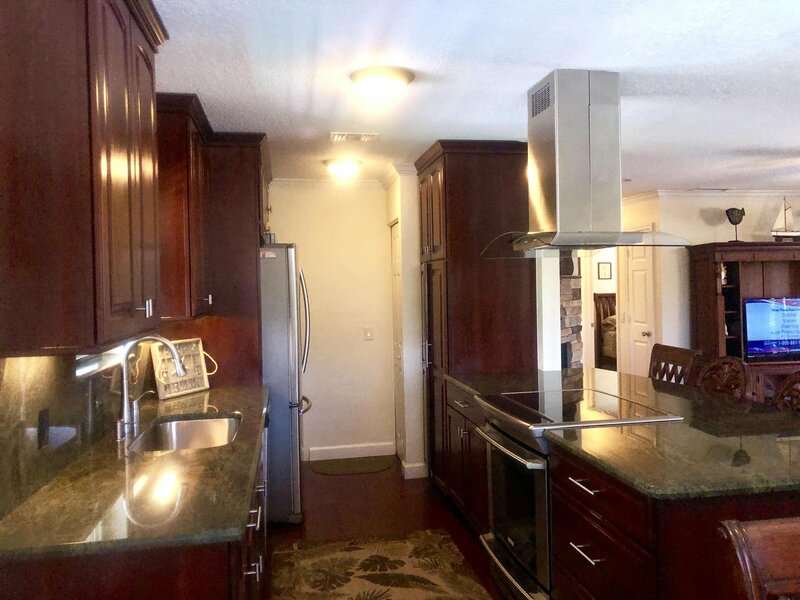 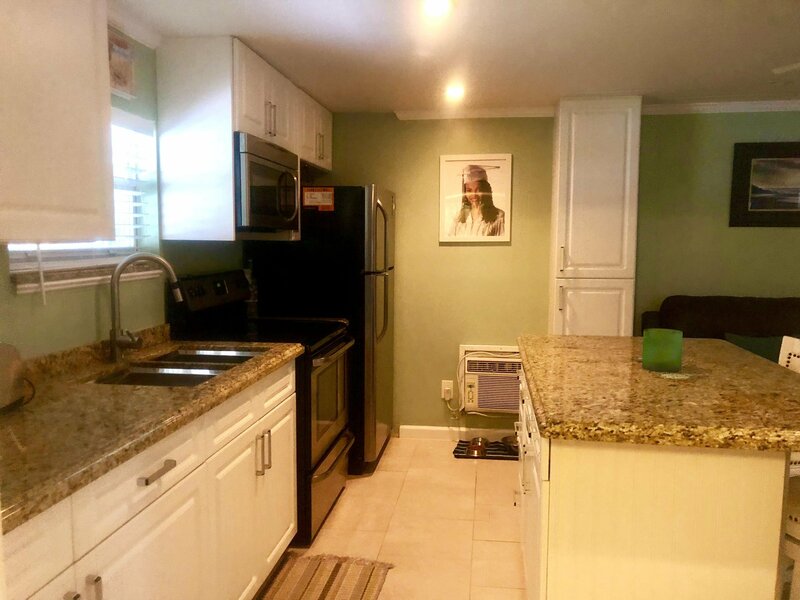 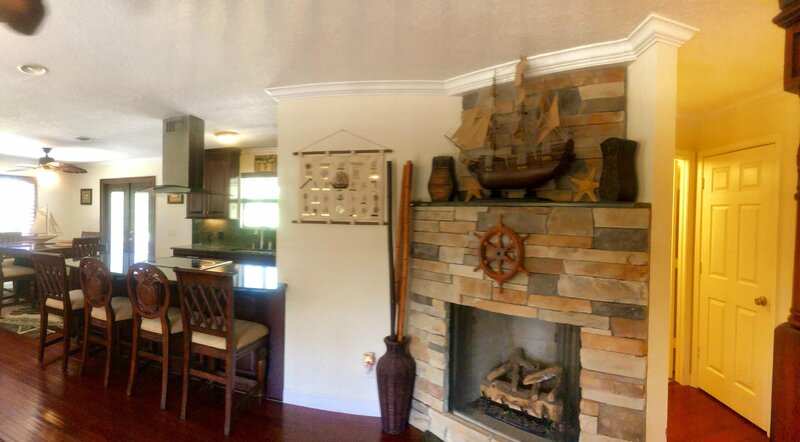 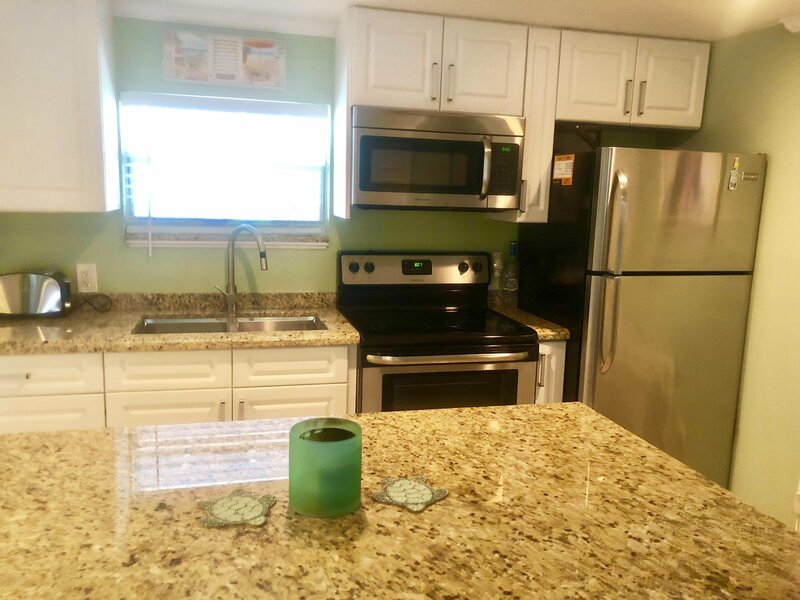 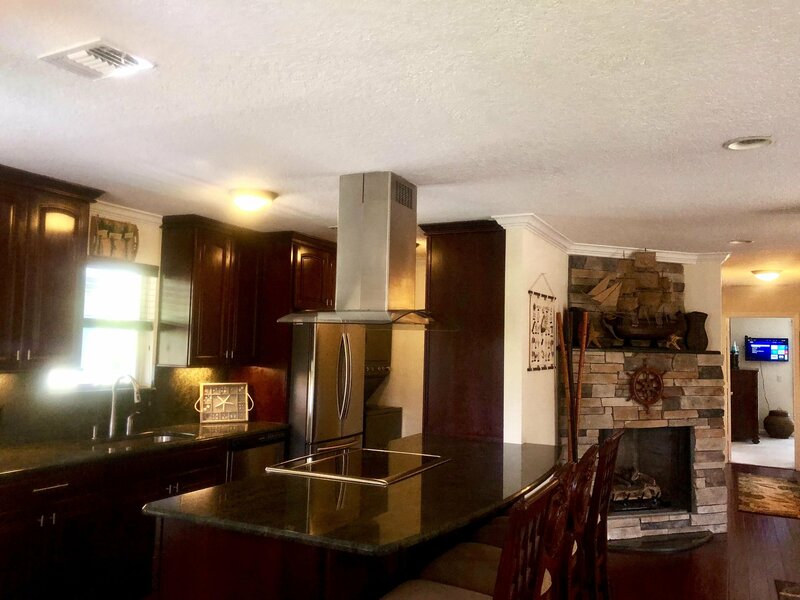 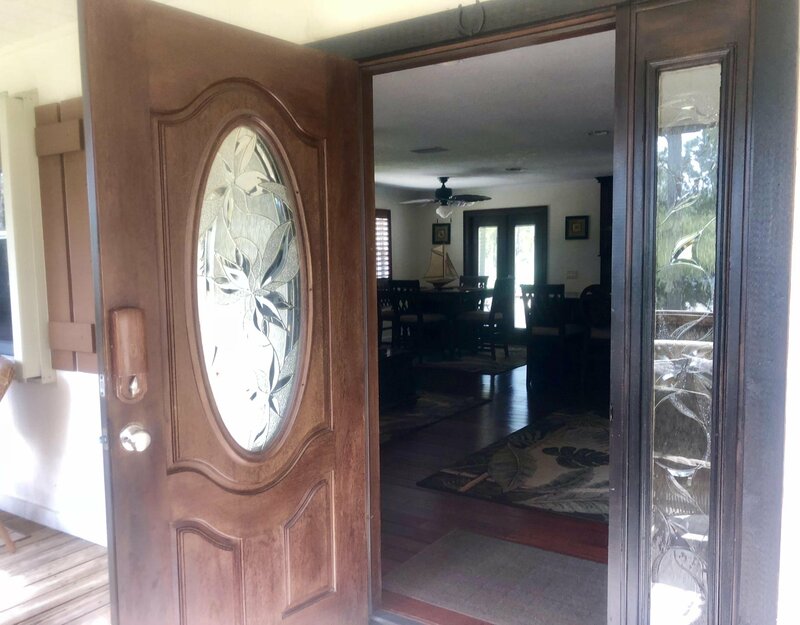 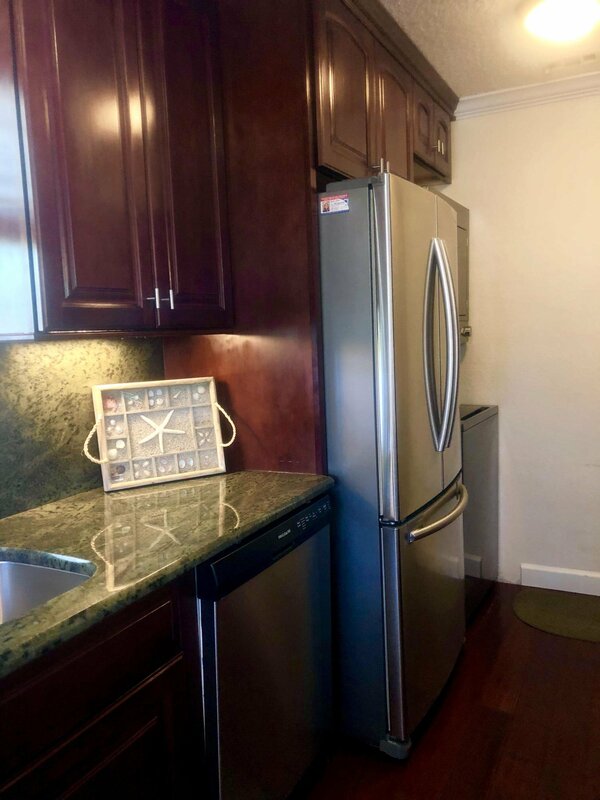 THIS IS A UNIQUE HOME WITH VERY FUNCTIONABLE FEATURES AND IS IN PRESTINE CONDITION. 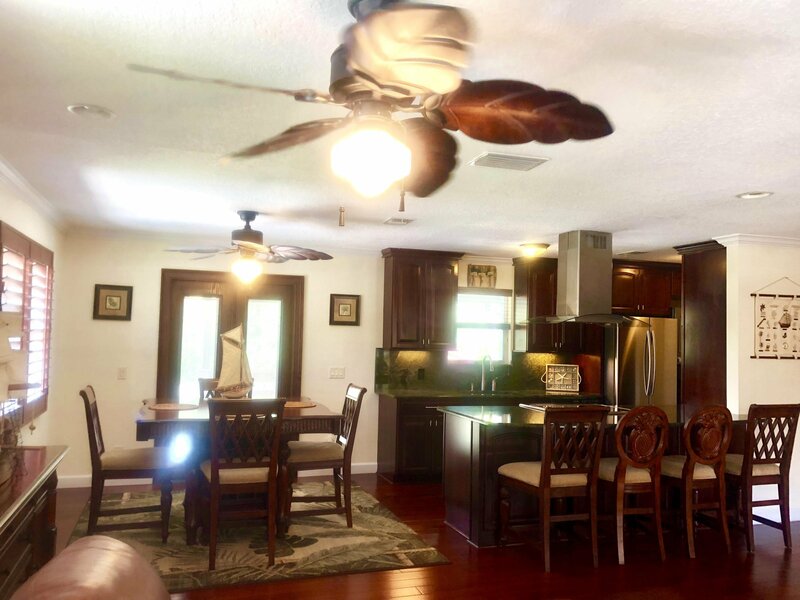 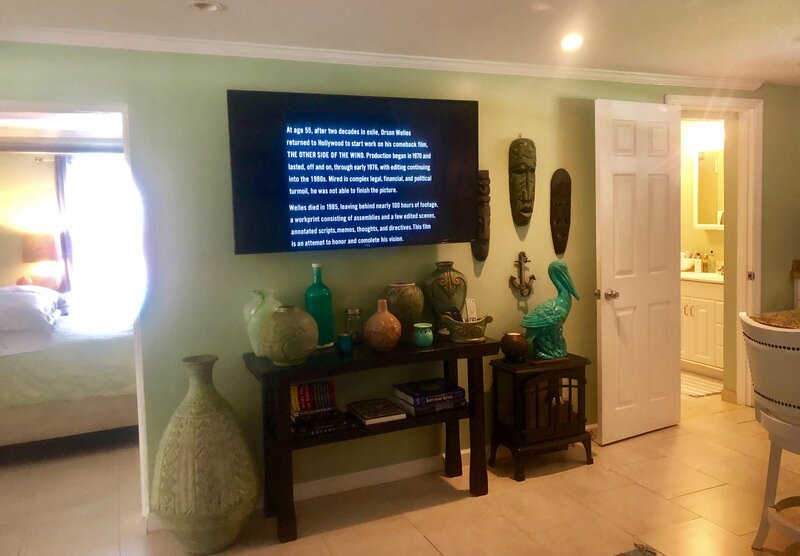 THIS HOME WAS BUILT WITH FUN AND ENTERTAINMENT IN MIND !!! 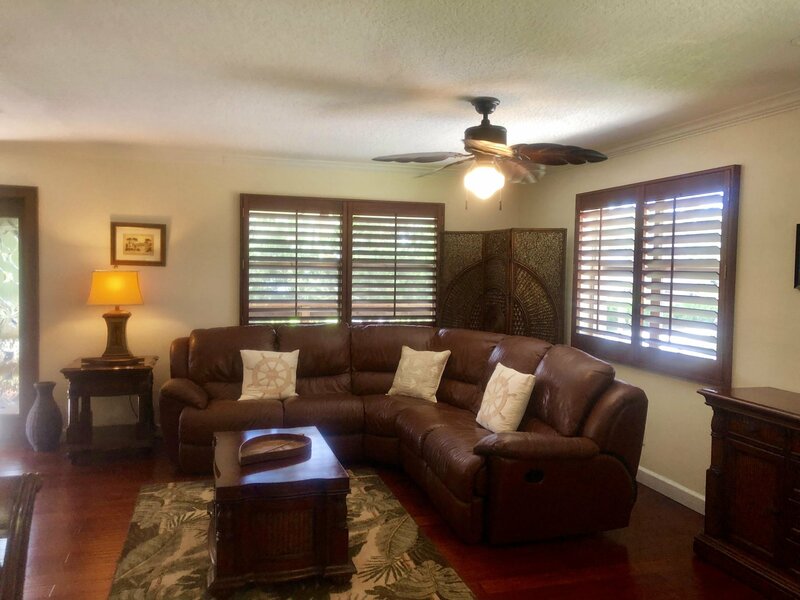 Listing courtesy of RE/MAX 1st CHOICE. 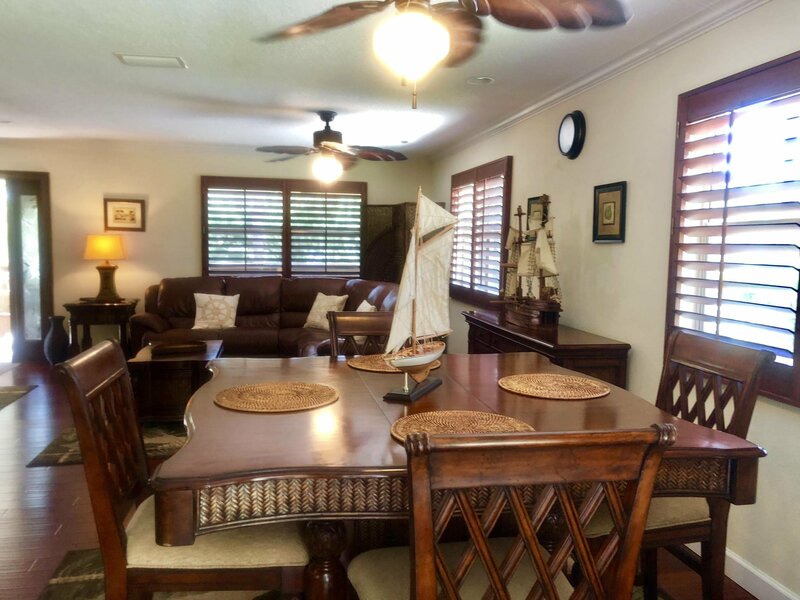 Selling Office: RE/MAX Direct.